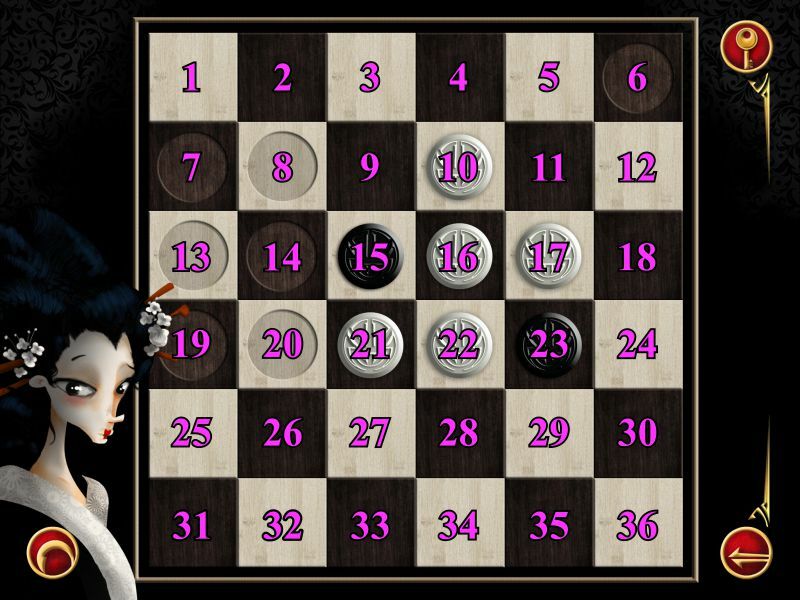 And what made you think your super secret spy assignment was over? 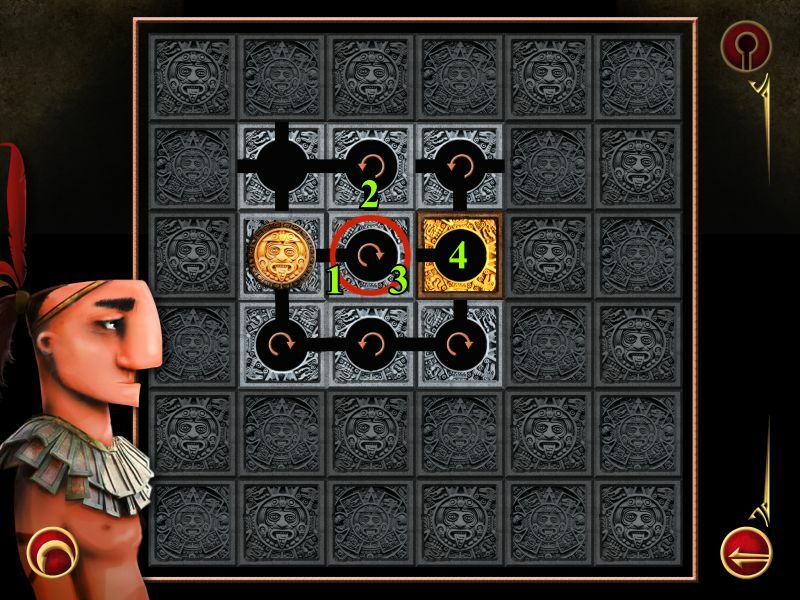 Put on your spy hat (a baseball cap turned backwards, your home team's logo marked out, of course), polish off that decoder ring, and sit down with your mobile device to enjoy IQ Mission 2, an expansion to the original IQ Mission puzzle and brain teaser game that adds three new cities, each featuring the same extraordinarily high level of artwork and music that makes the experience just irresistible. 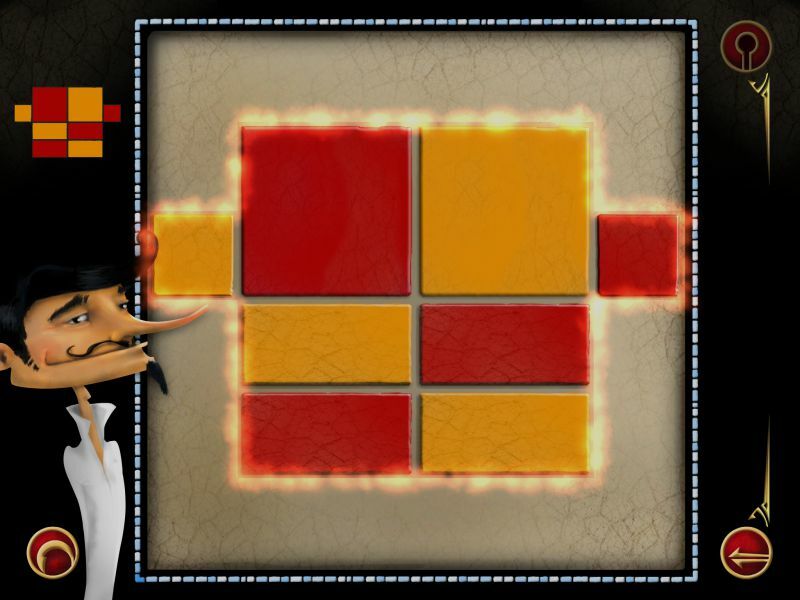 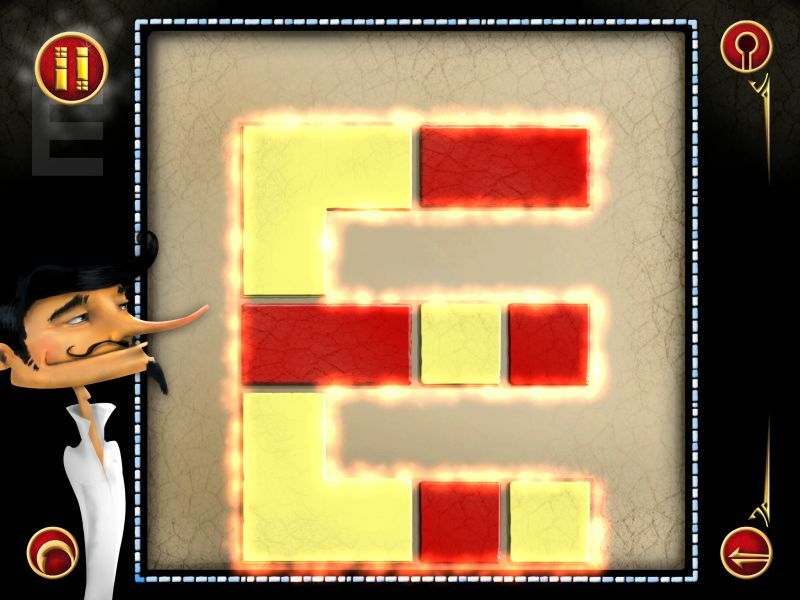 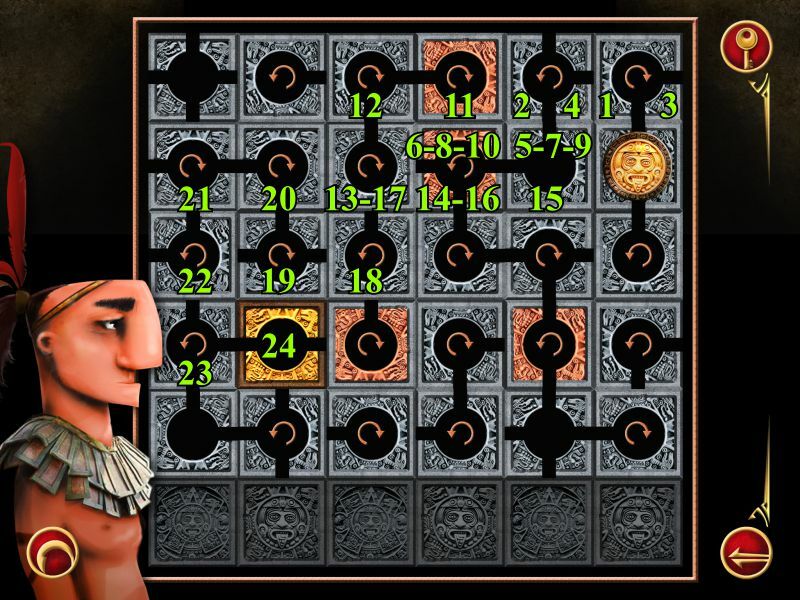 This time around, you have three puzzle types to work through, each with 32 levels to solve. 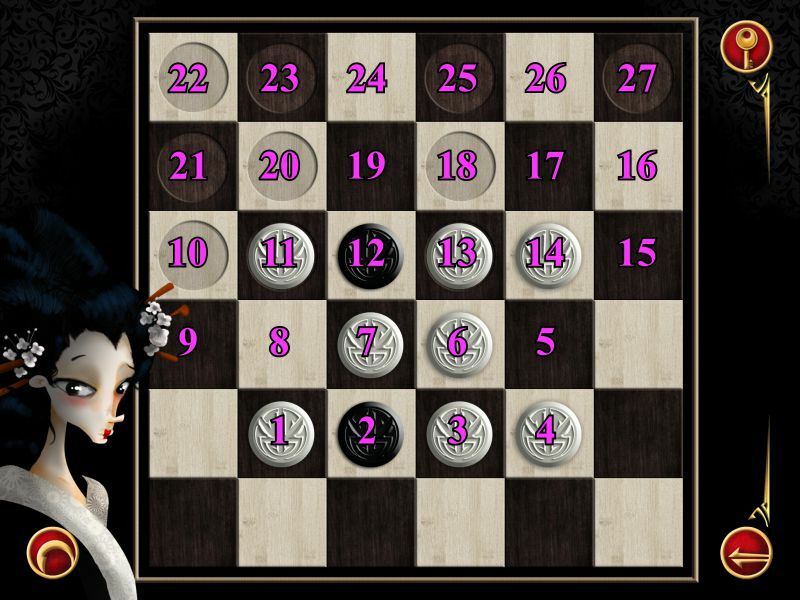 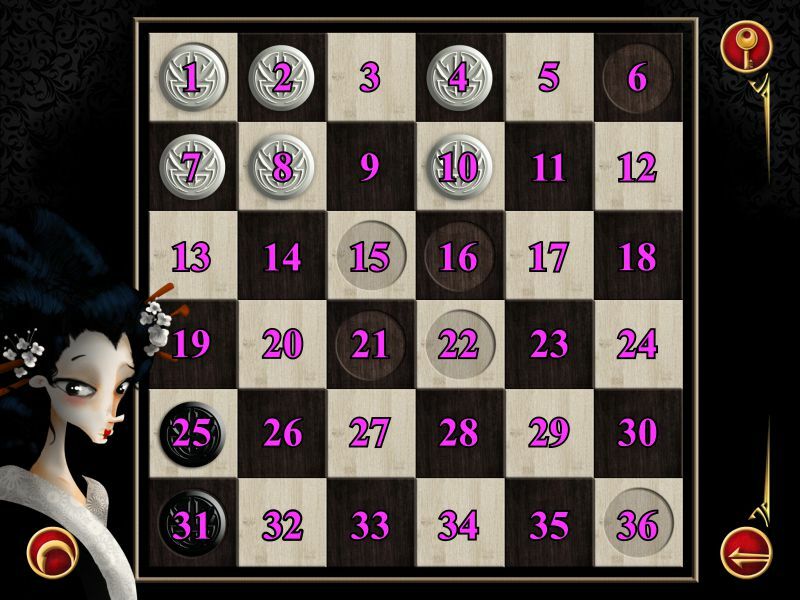 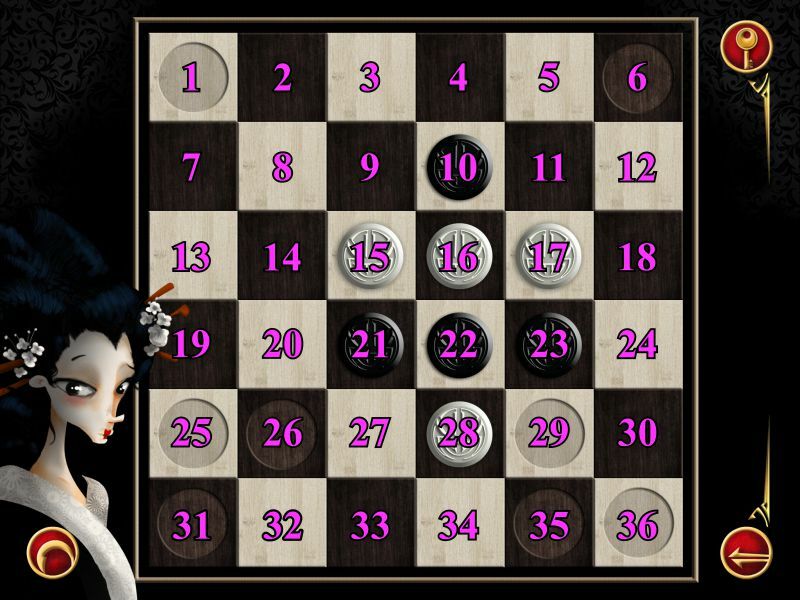 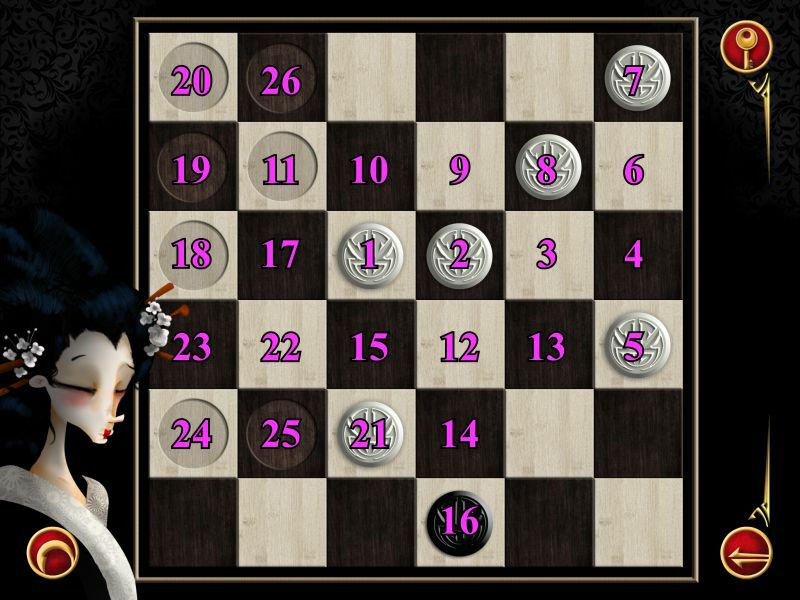 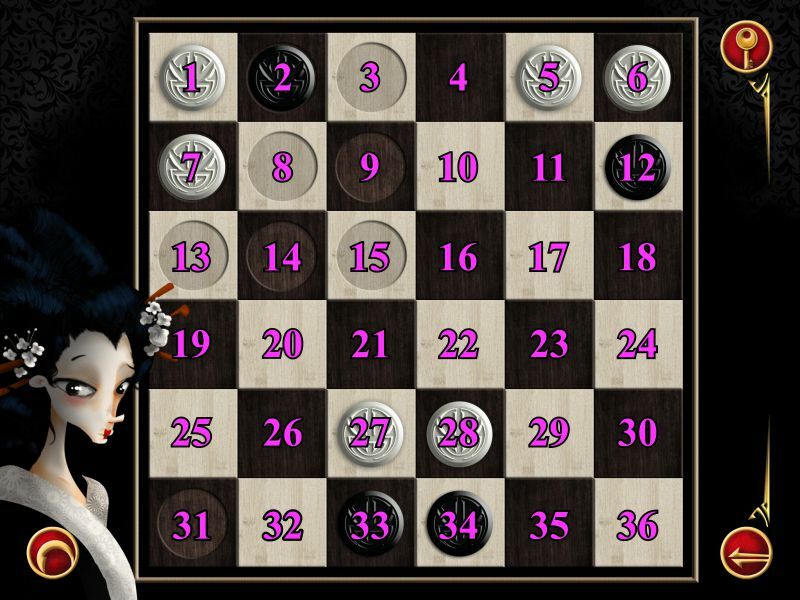 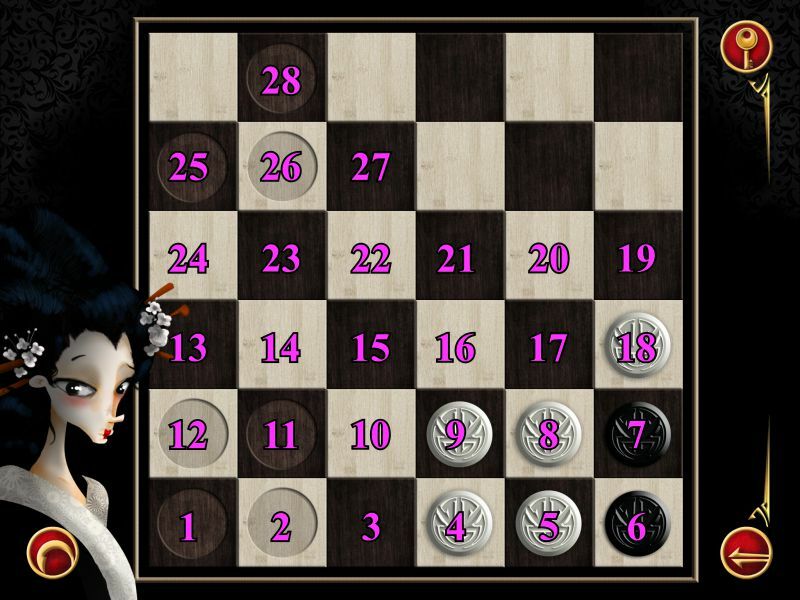 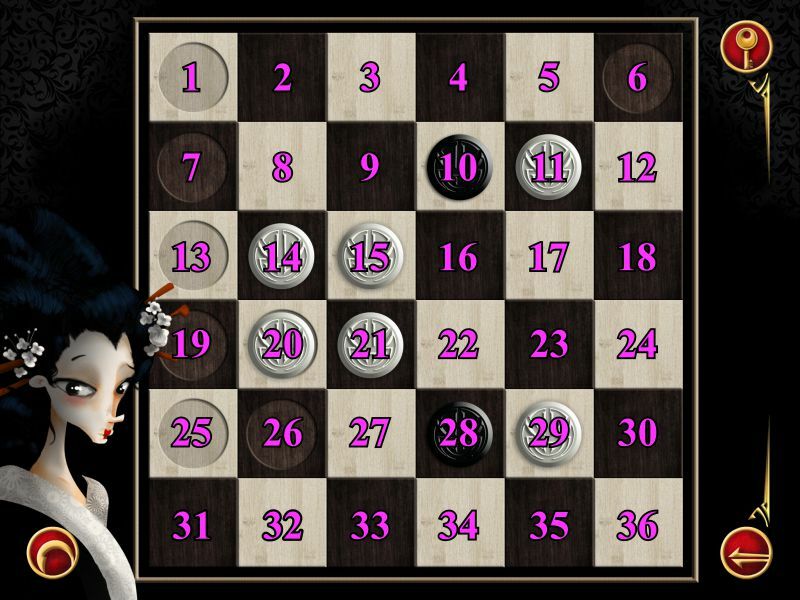 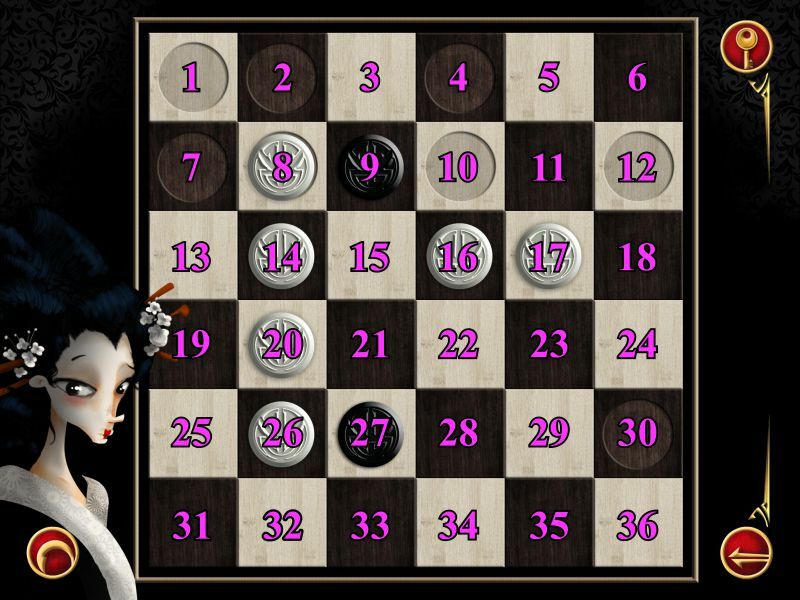 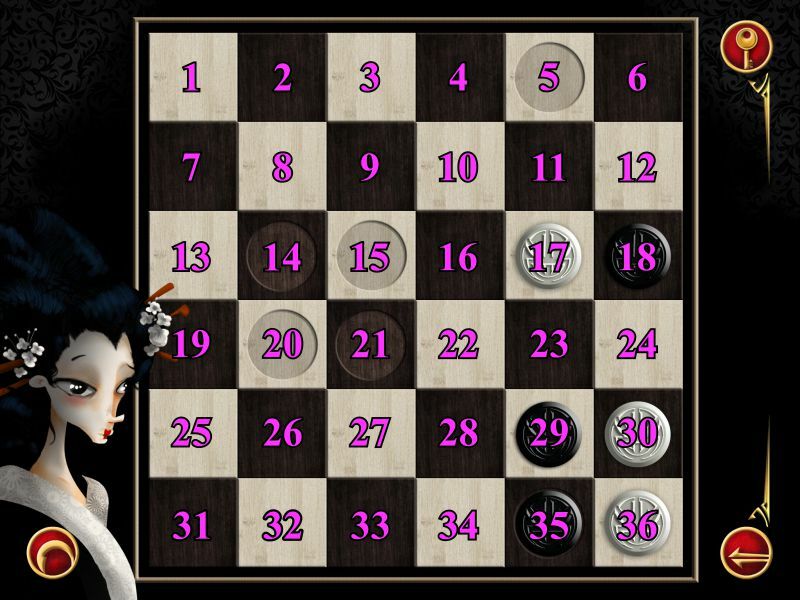 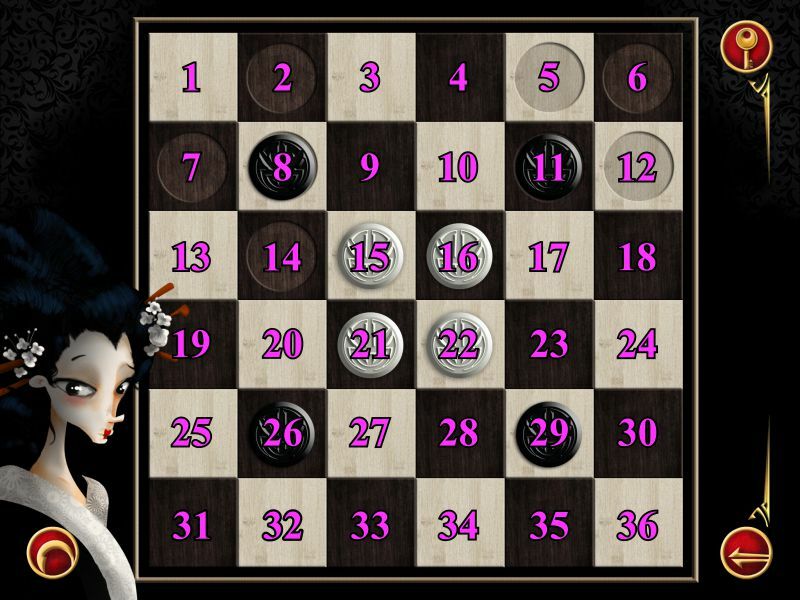 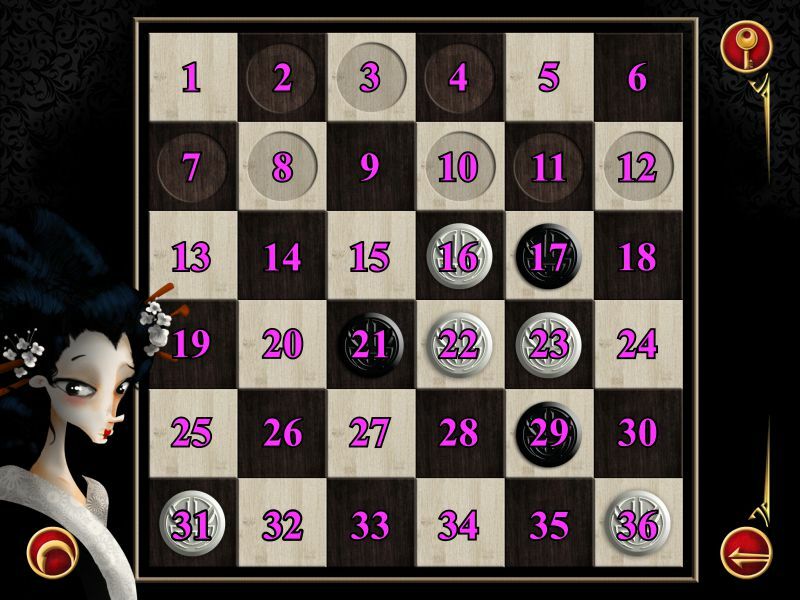 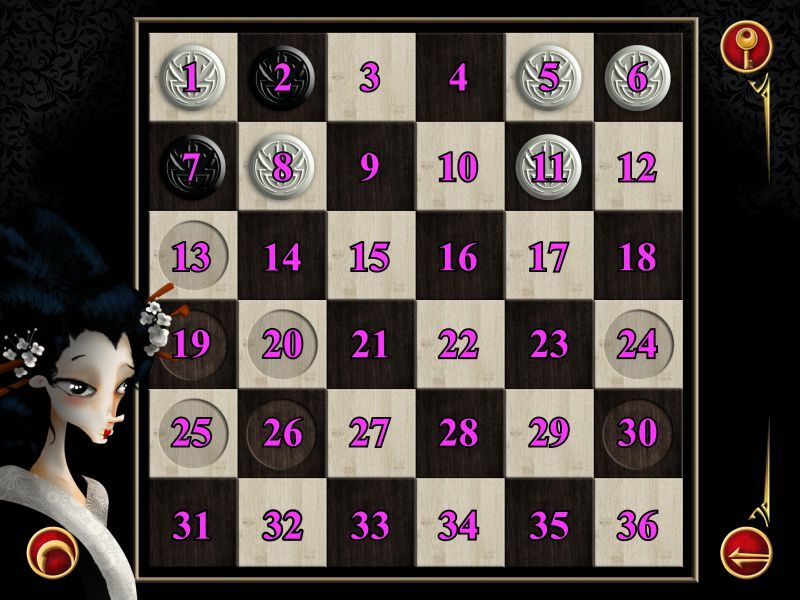 Tokyo's game resembles checkers in appearance, but the object is to place pieces on the marked spaces by jumping over other pieces. 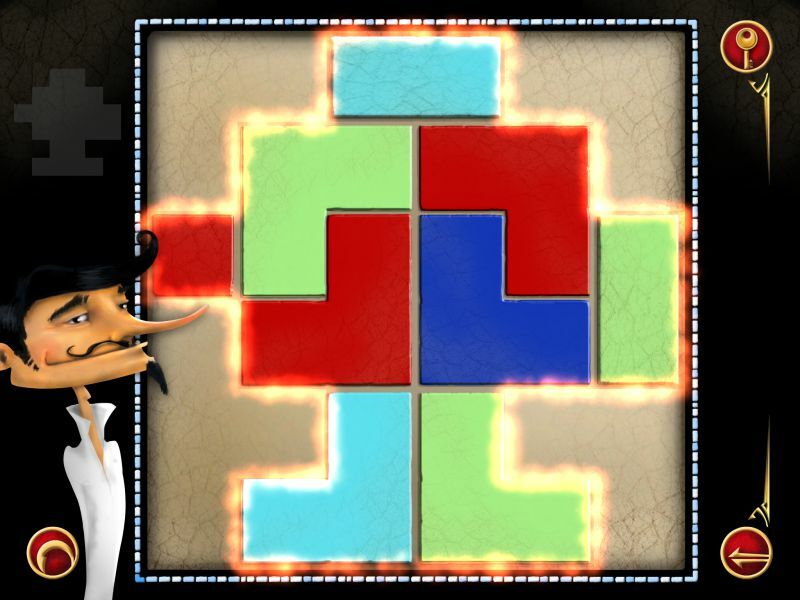 Barcelona is a more spatial-type puzzle that challenges you to arrange a mosaic of shapes so that sides of the same color do not touch. 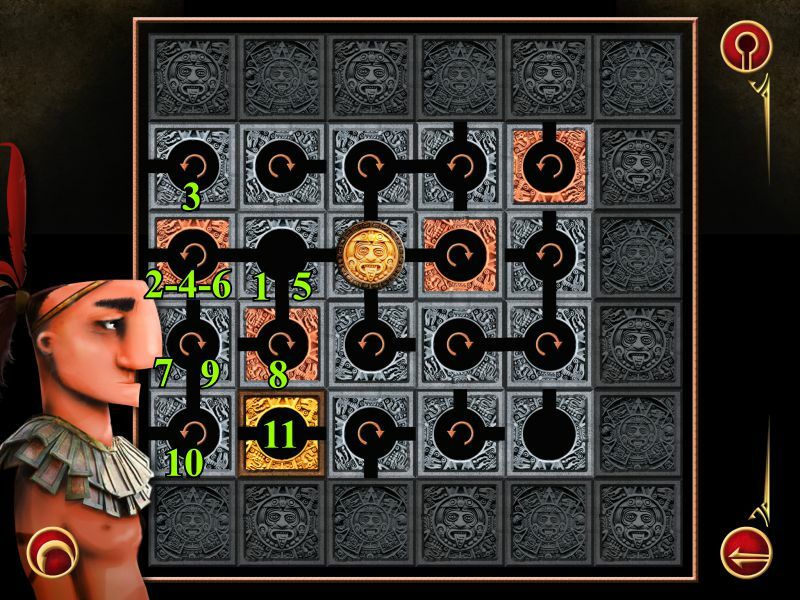 And finally, in Tikal you slide a coin through a series of spaces in a vault to get it to the goal. 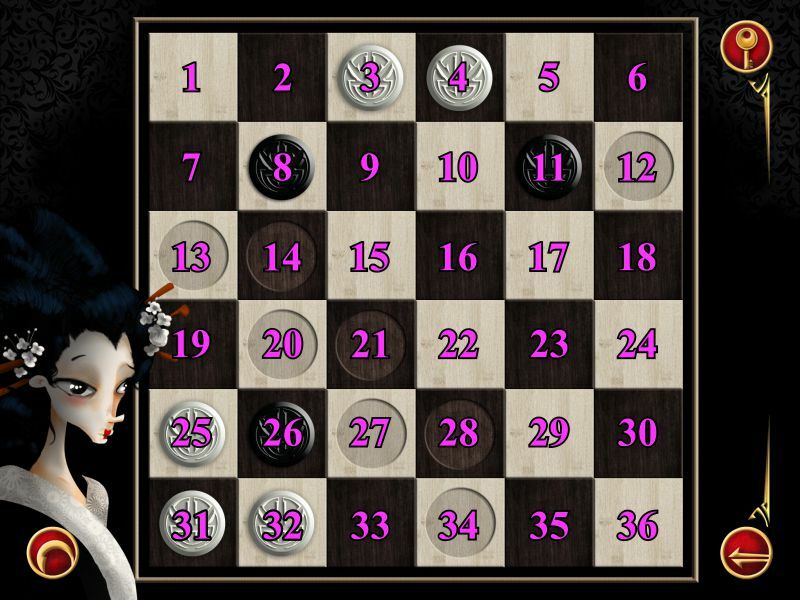 The catch is that those pieces rotate when you move across them, severely limiting your options and forcing you to think so far ahead, you might as well be clairvoyant. 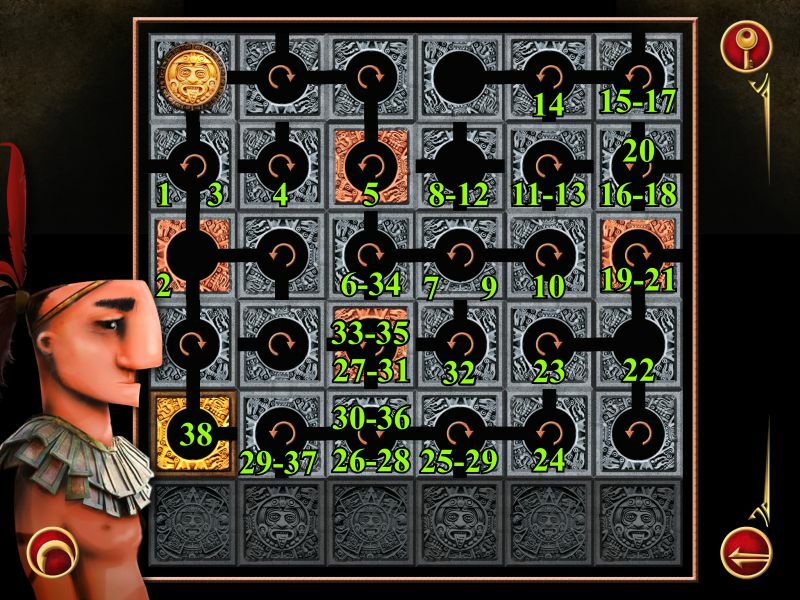 IQ Mission 2 doesn't mess with a formula that works, and these levels might as well have been a part of the first game. 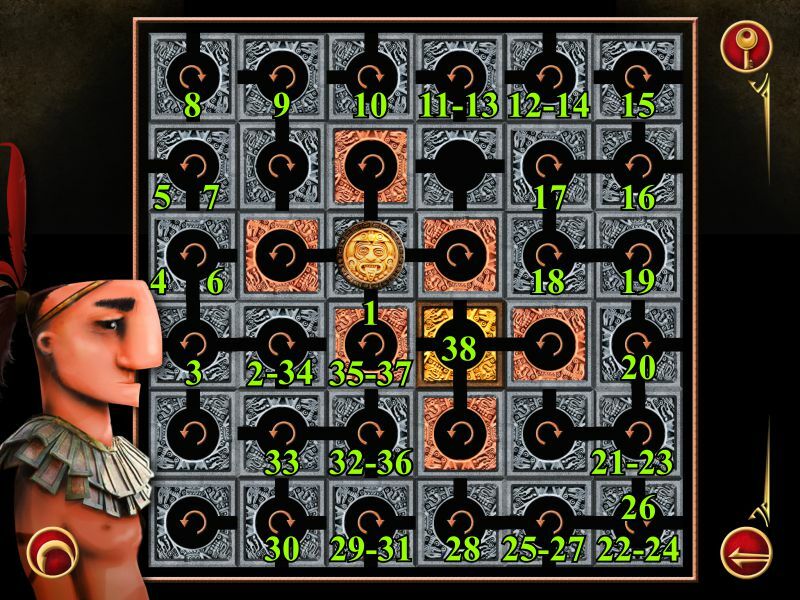 It's a bit short on content when compared to IQ Mission, but the challenge is definitely there, along with the creatively built levels that are so much fun to (sit there for 15 minutes without a clue as to your next move before finally getting an epiphany and reaching down to) solve! 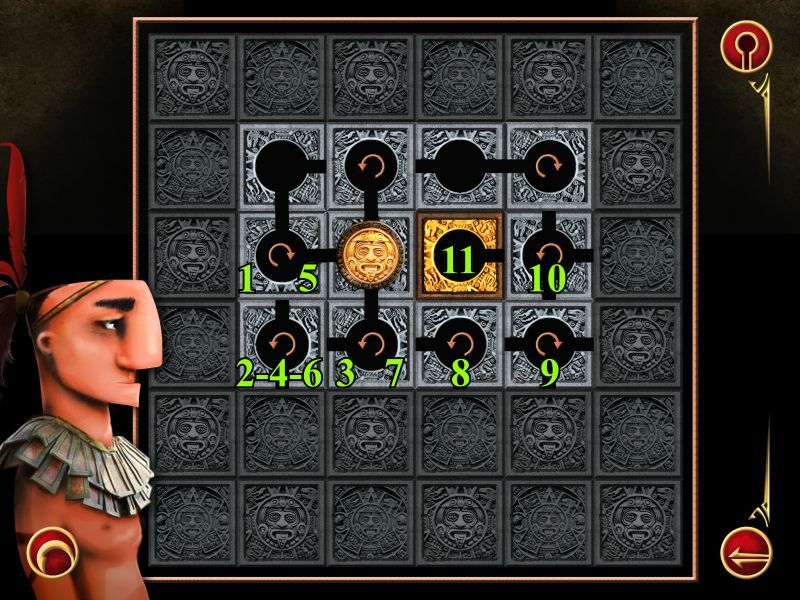 Check out the original IQ Mission for over 120 more puzzles to solve! 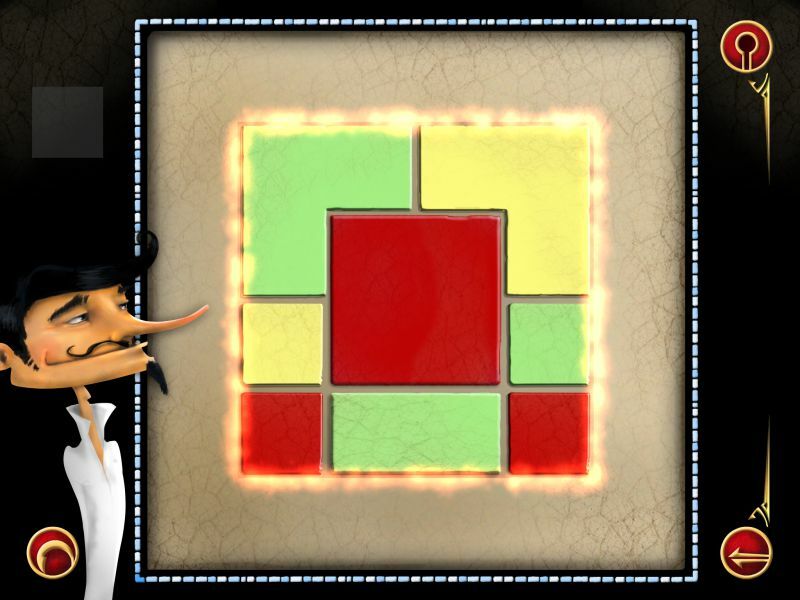 IQ Mission 2 Walkthrough now available! 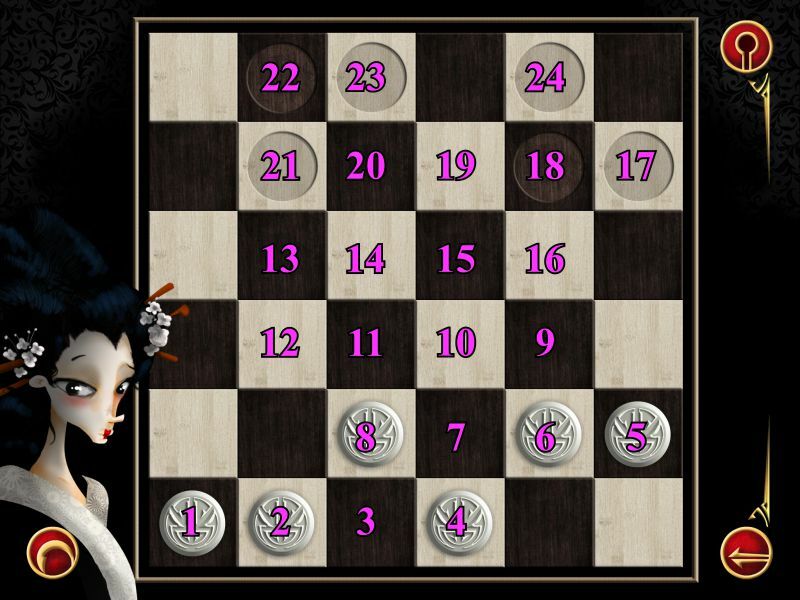 The main menu gives you your choice of which city you wish to play, and you can link to the original IQ Mission at the App Store. 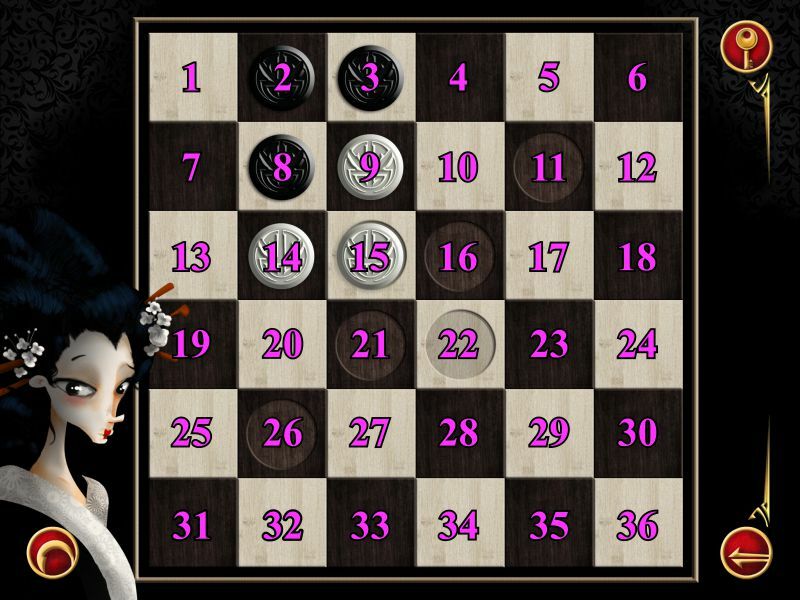 The gears in the lower right corner will take you to your Achievements. 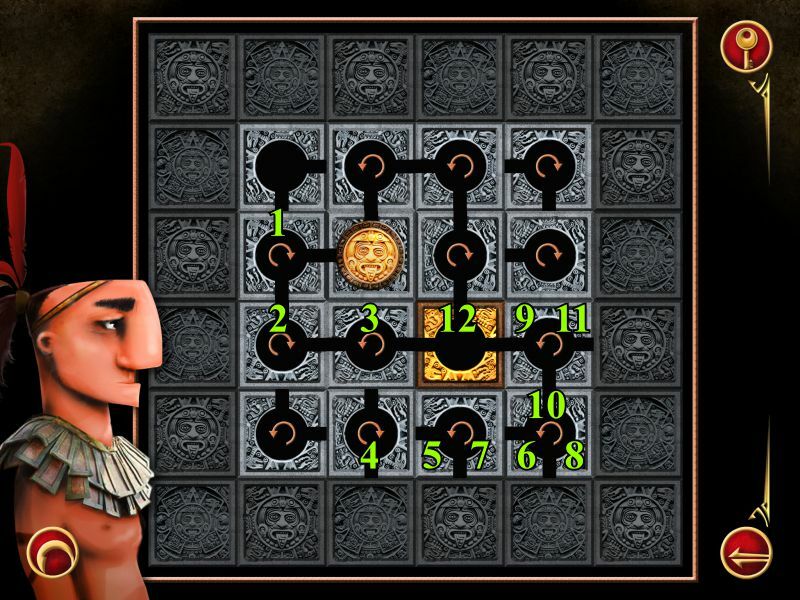 The key icon allows you to buy the key with how to hints for the various levels, or you can just use this walkthrough. 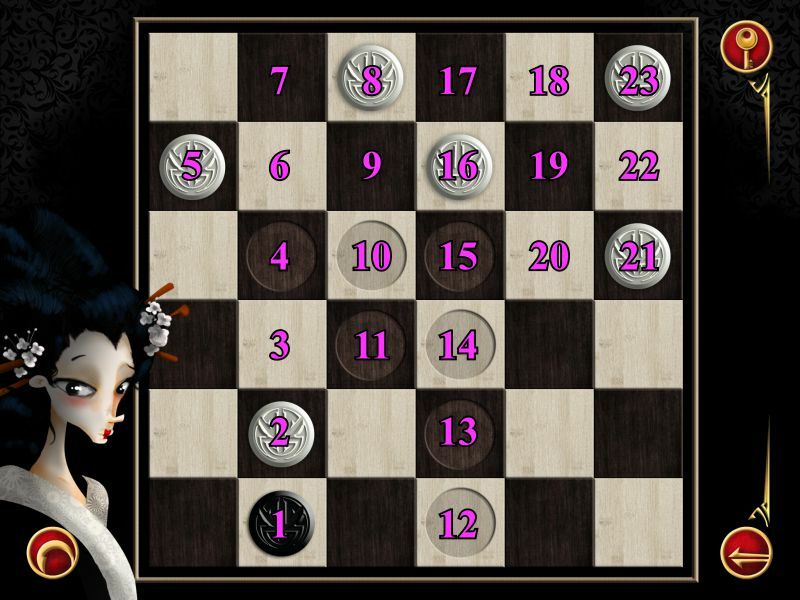 You can also contact the game center, e-mail, Facebook, or Twitter, or you can view more games by Yummy Factory. 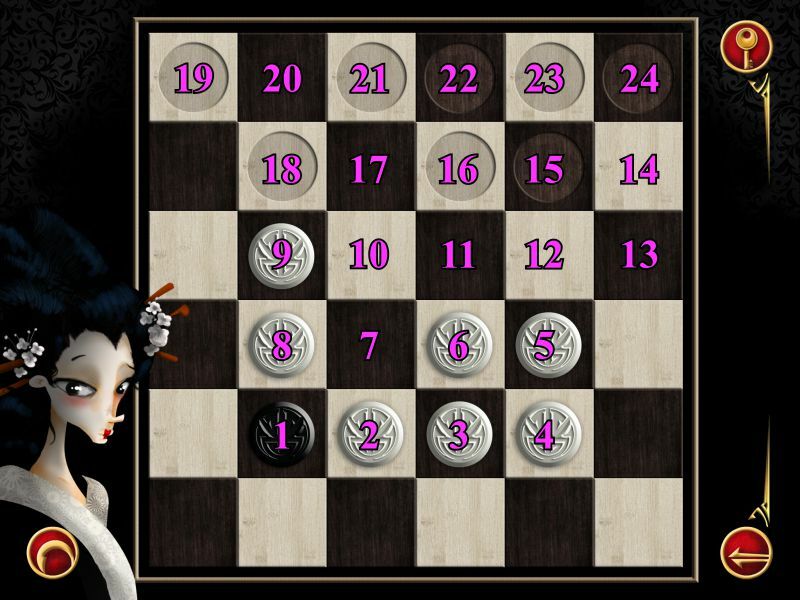 You can also turn the sound and music on or off, and view the game credits. 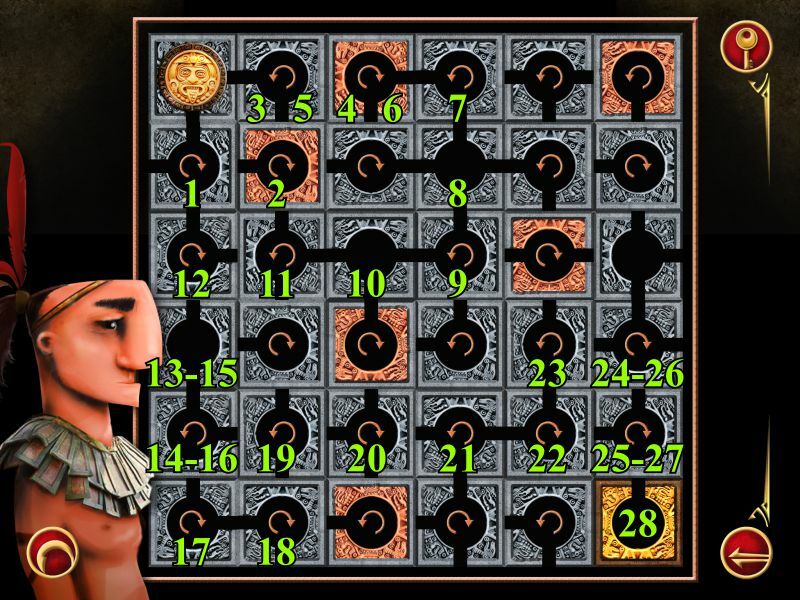 There are now 32 levels for each city, and you must complete the levels in numerical order because the completion of a level will unlock the next one. 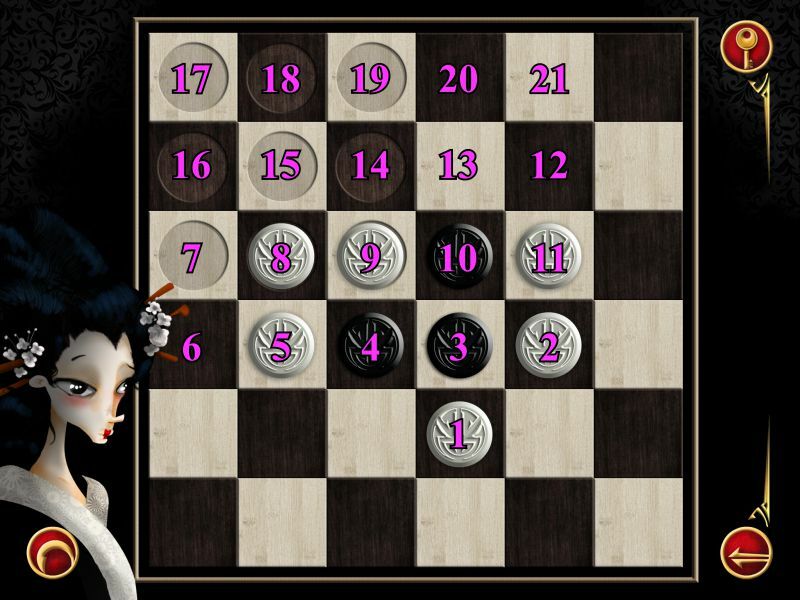 On the lower right of the scene is an arrow icon that will take you back to the previous screen. 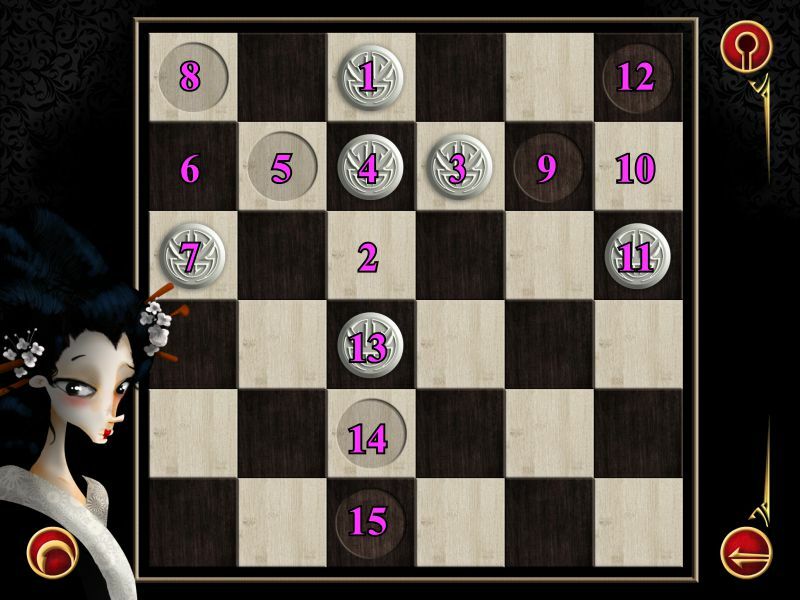 The icon on the lower left will allow you to restart the current level. 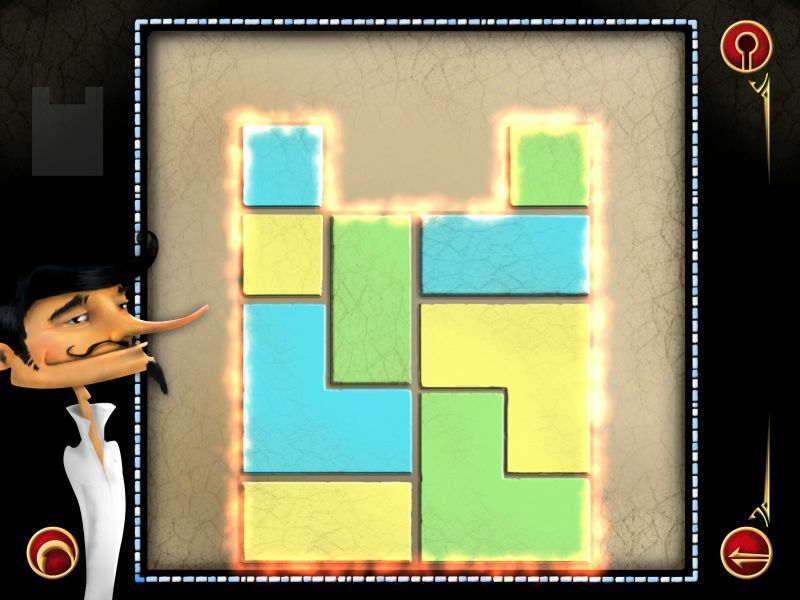 The first puzzle in each city is a tutorial to show you how to solve the puzzles for that city. 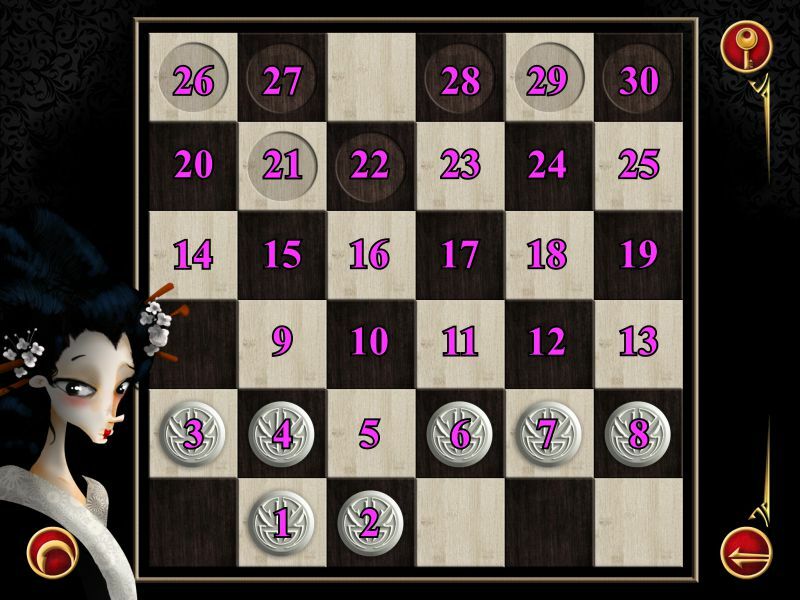 The following is a list of the 9 Achievements you can earn throughout the game. 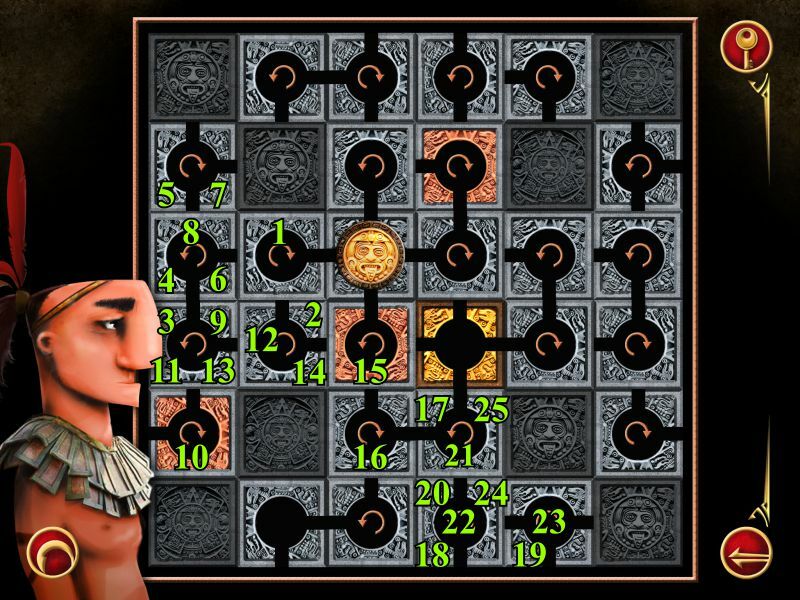 The Grand Champion of Rotation: Finish the entire Tikal mission. 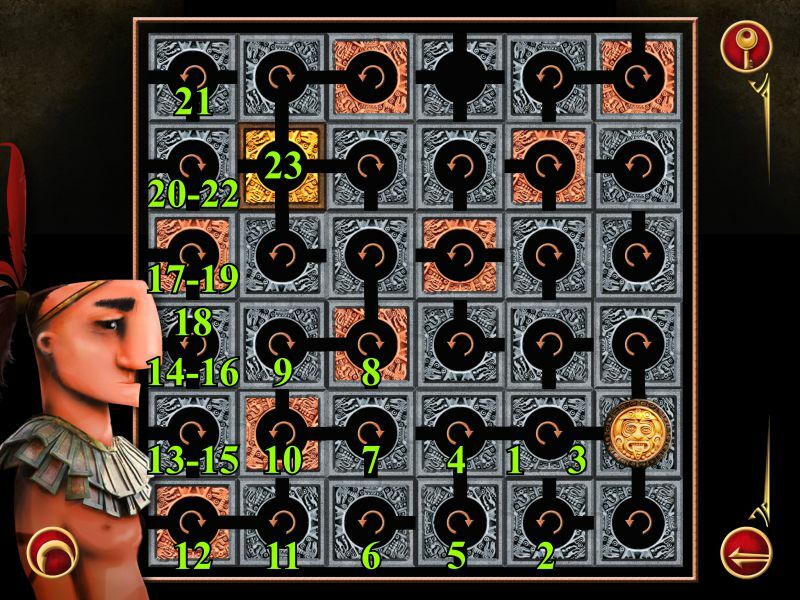 The Secret of 10 Steps: Finish the entire game in 10 steps. 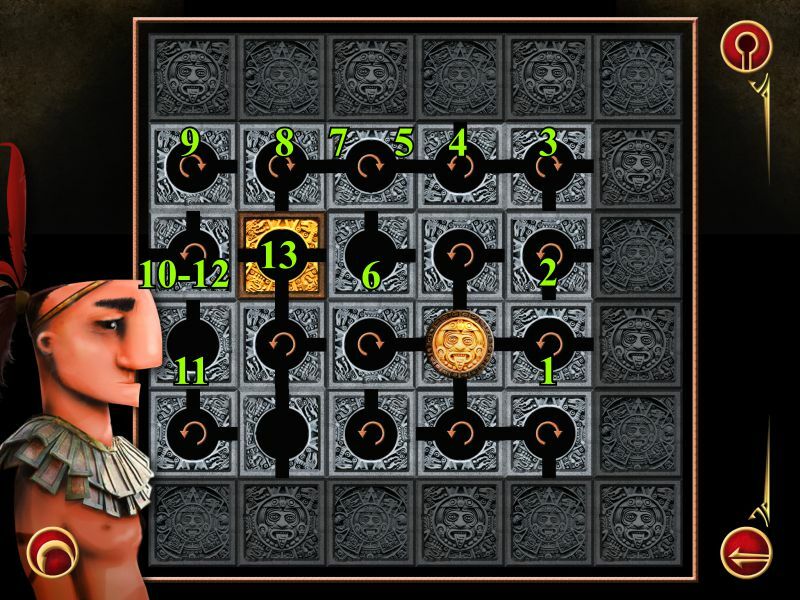 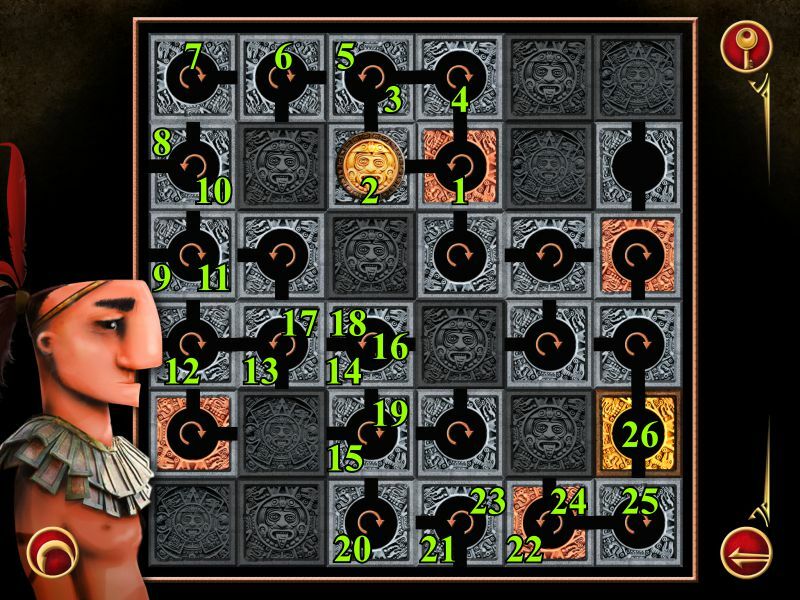 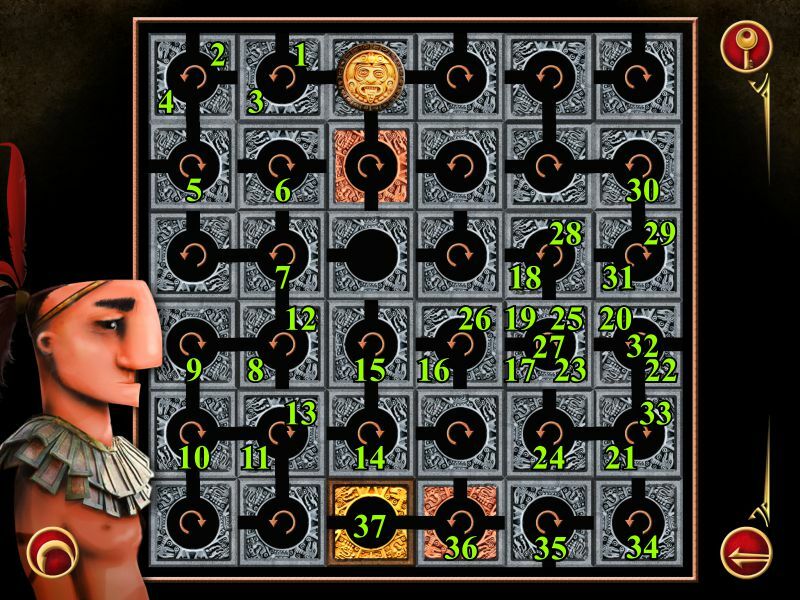 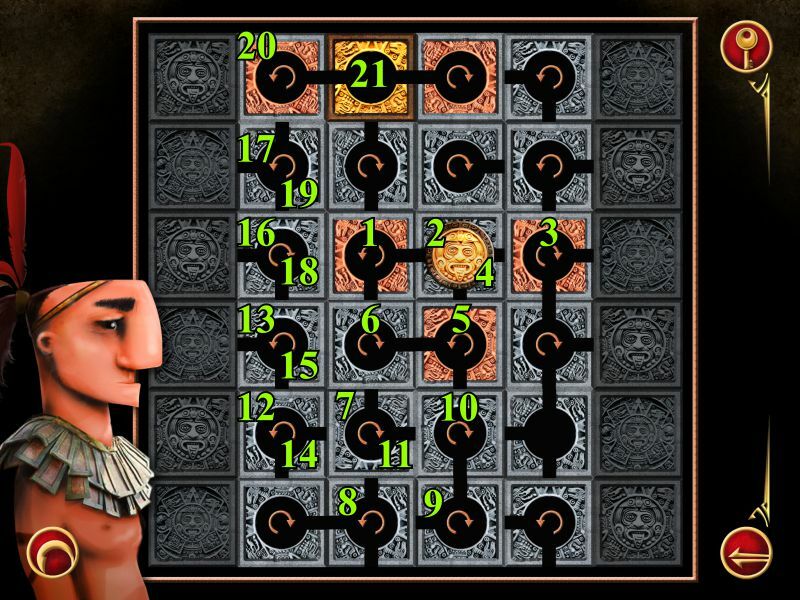 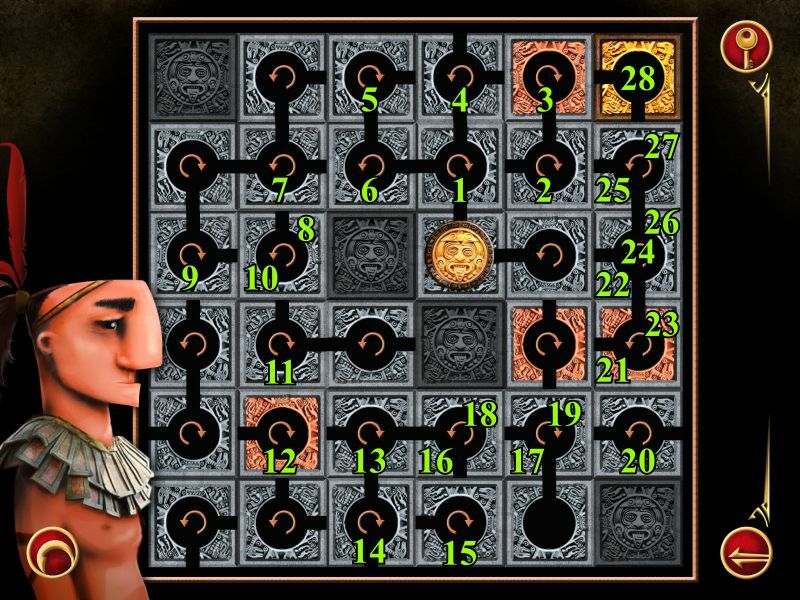 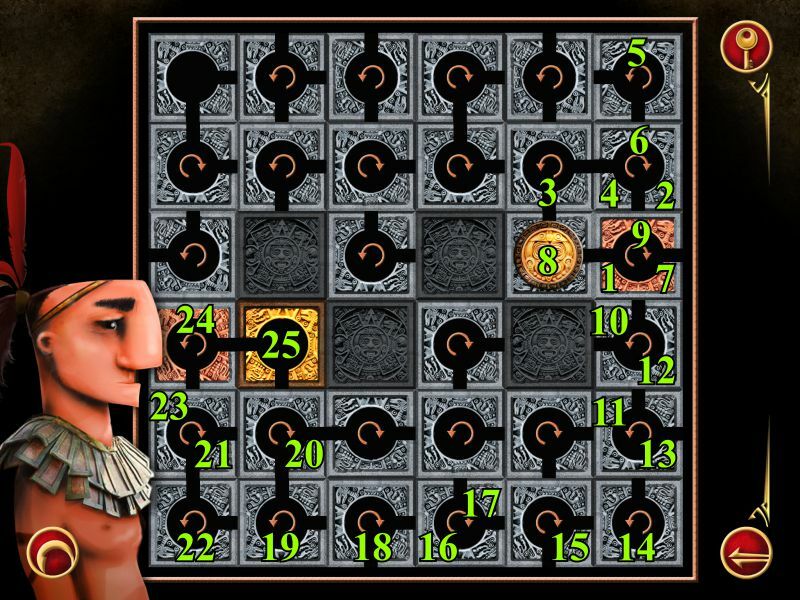 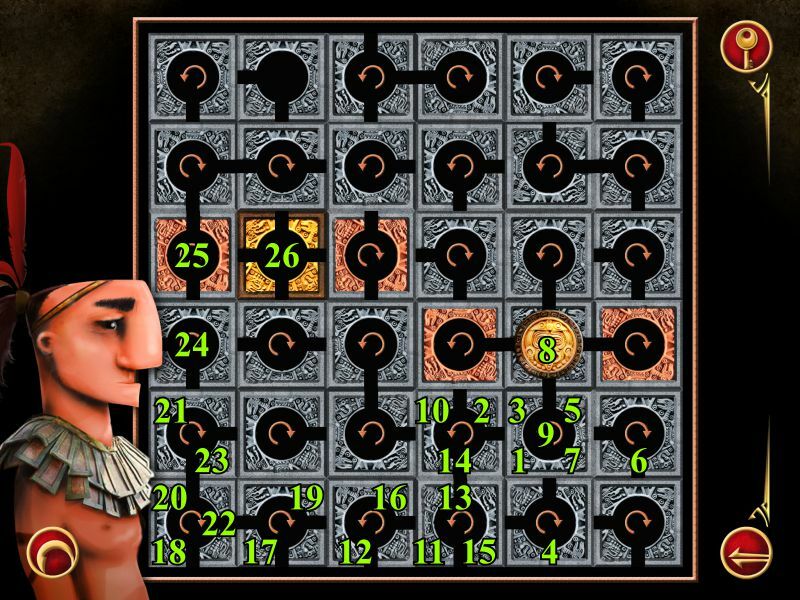 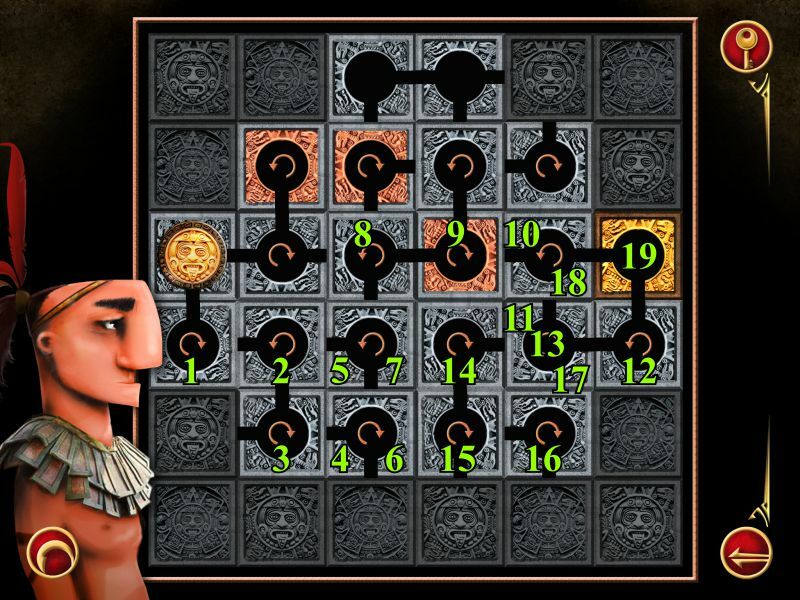 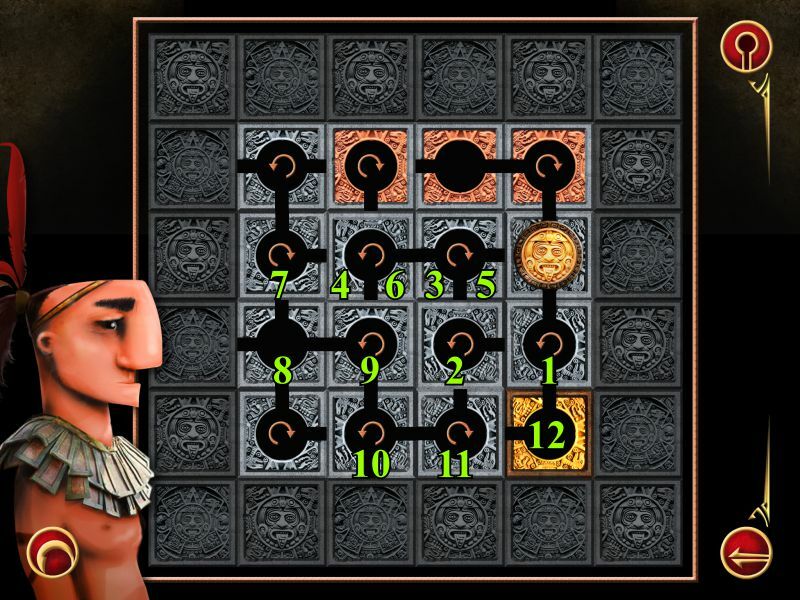 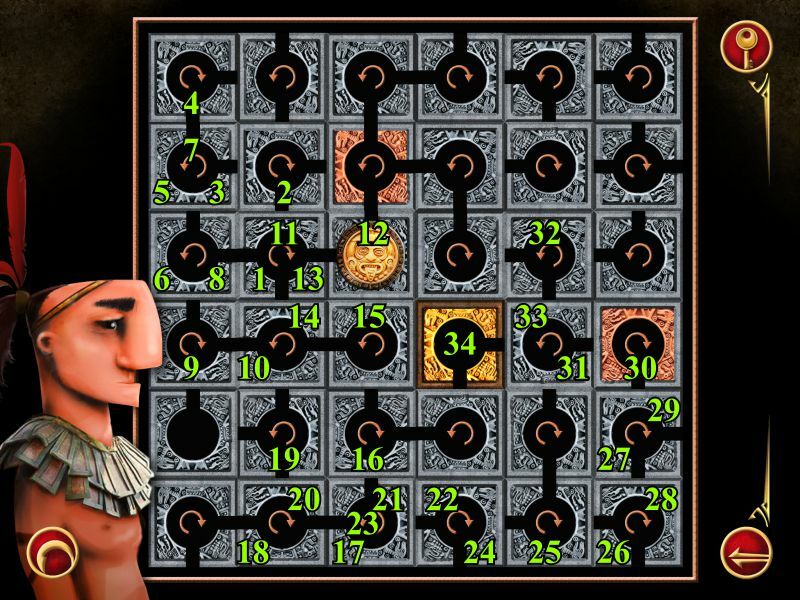 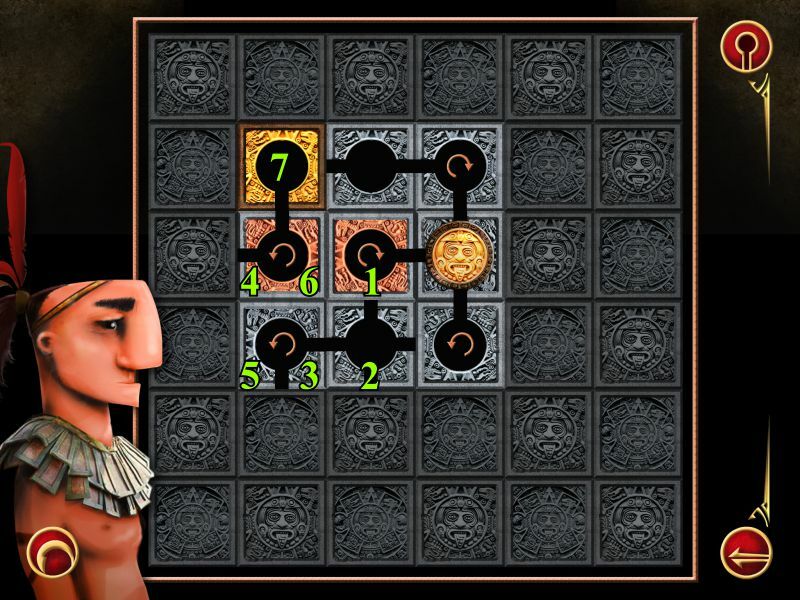 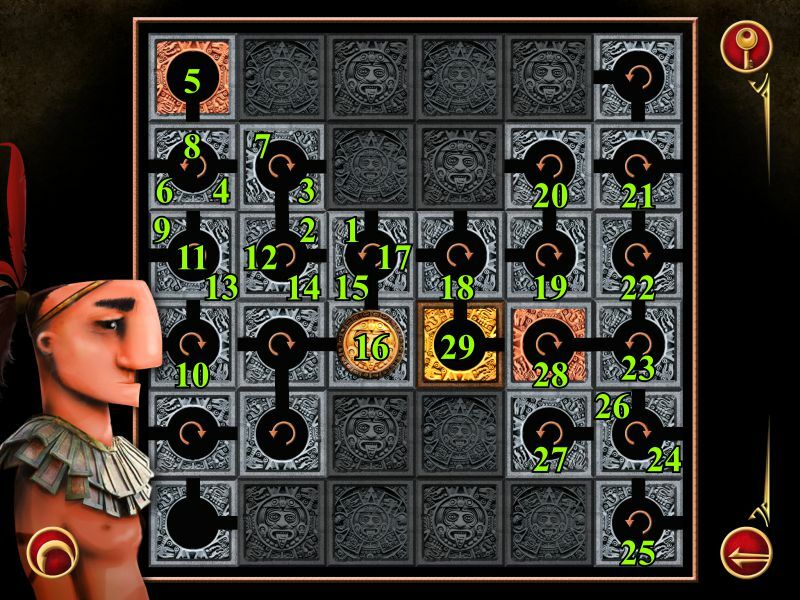 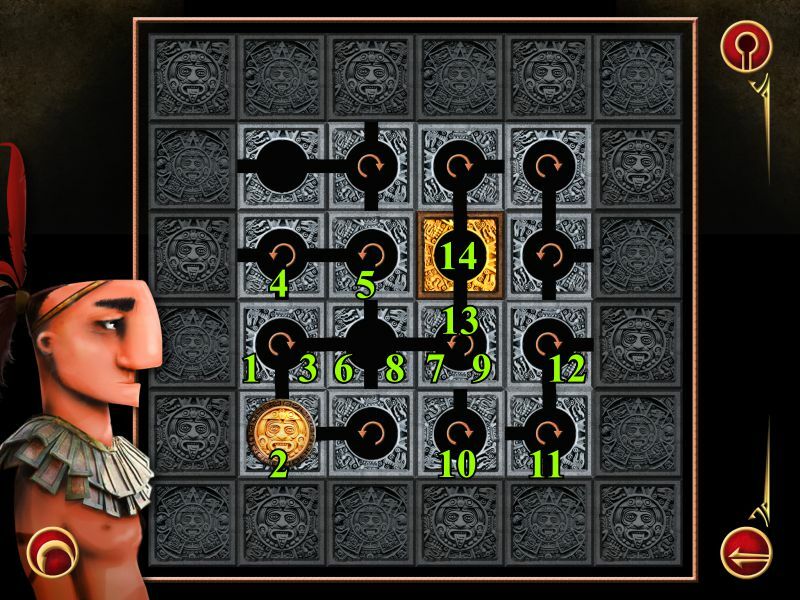 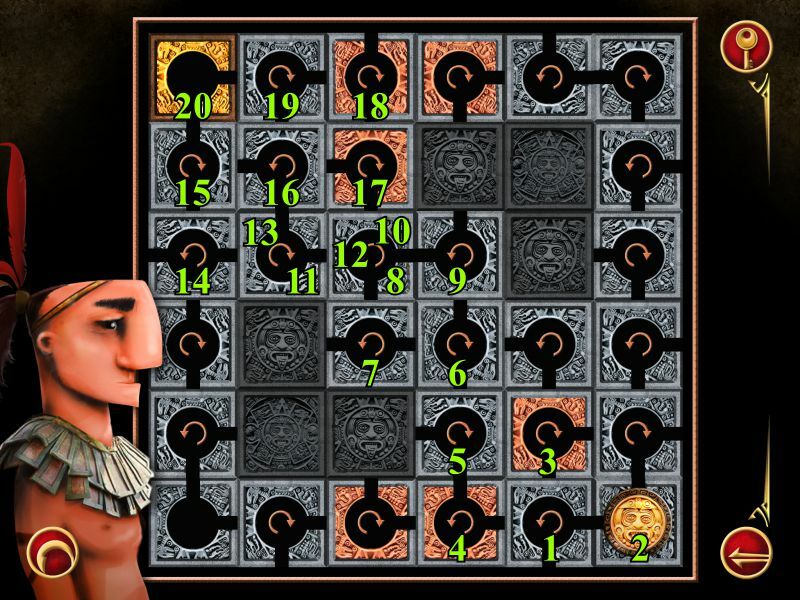 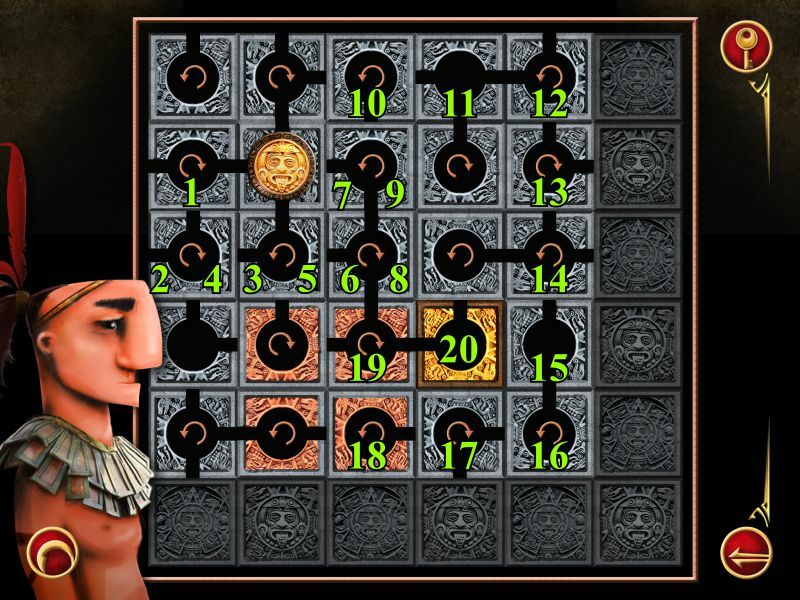 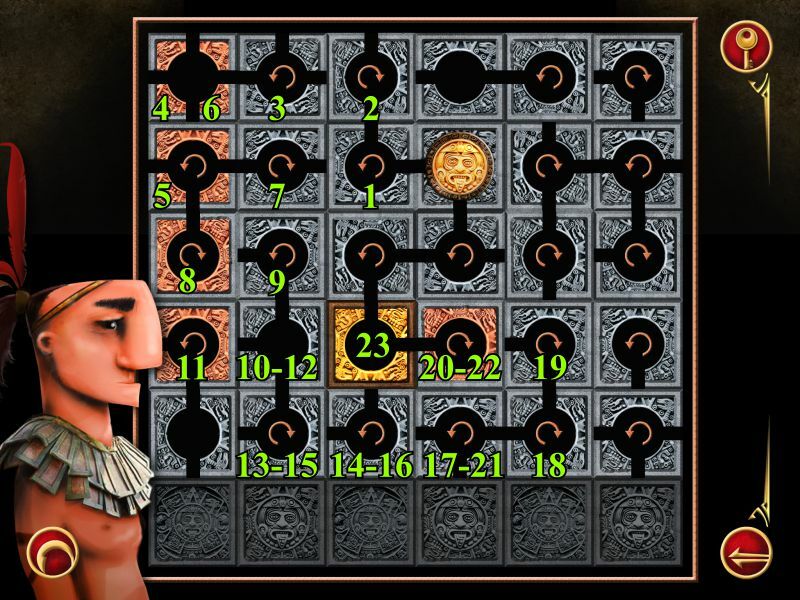 Pi of the Mayan People: Go onto each of the stationary boards of the game. 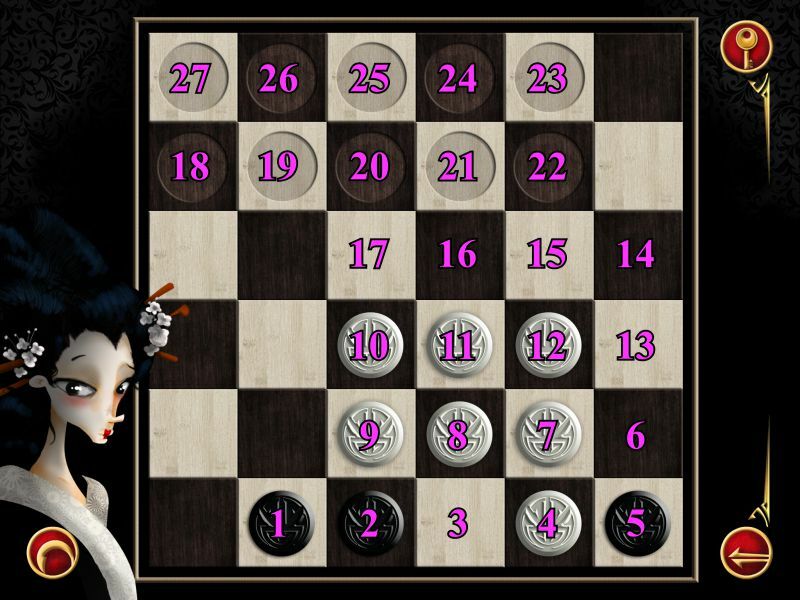 The Maestro of the Board: Finish the entire Tokyo mission. 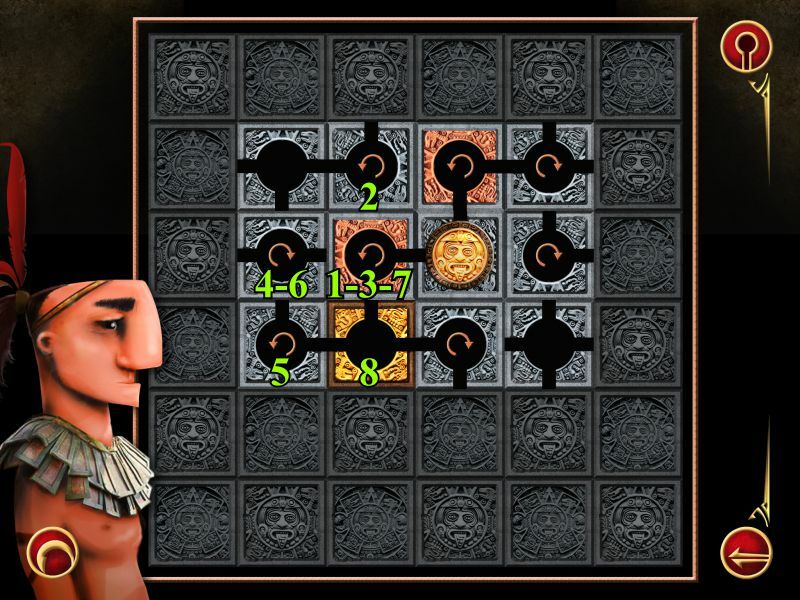 The Lucky Six: Place 6 pieces next to one another to form a line. 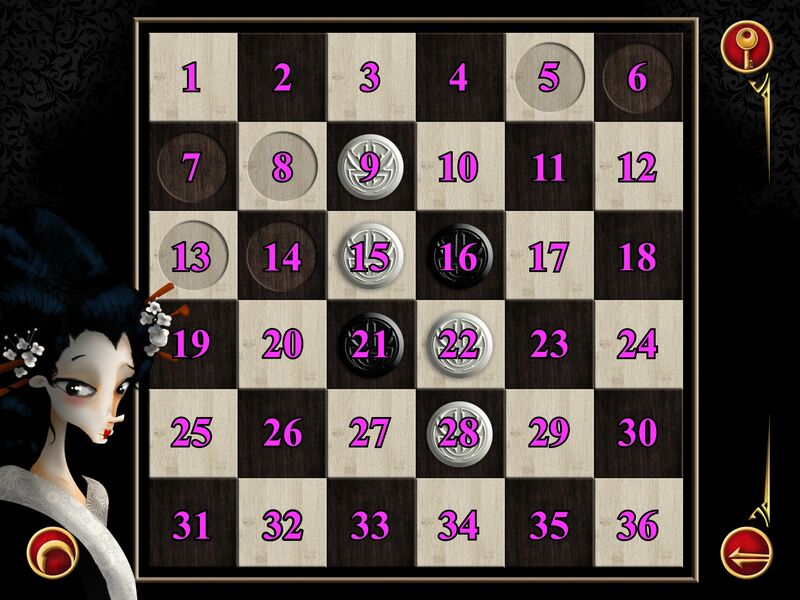 Quadrophenia: Place 4 pieces in 4 corners of the board. 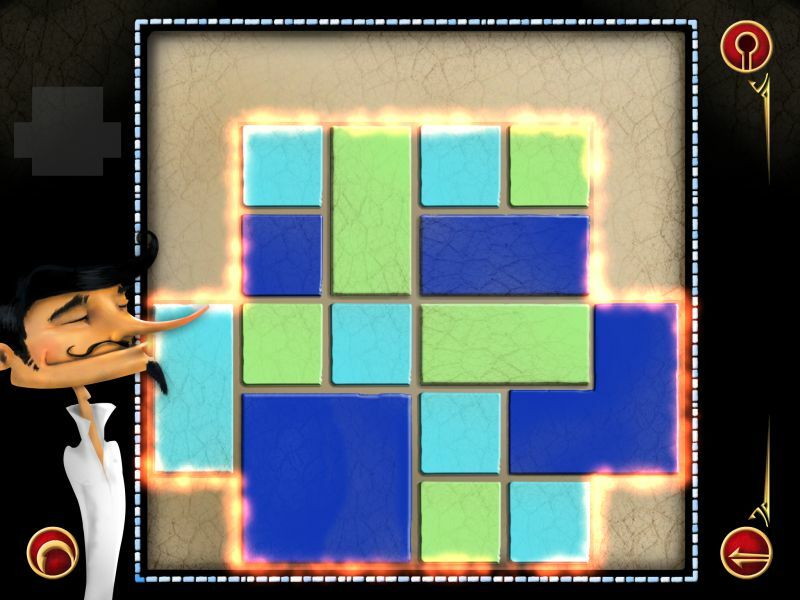 The Virtuoso of the Mosaic: Finish the entire Barcelona mission. 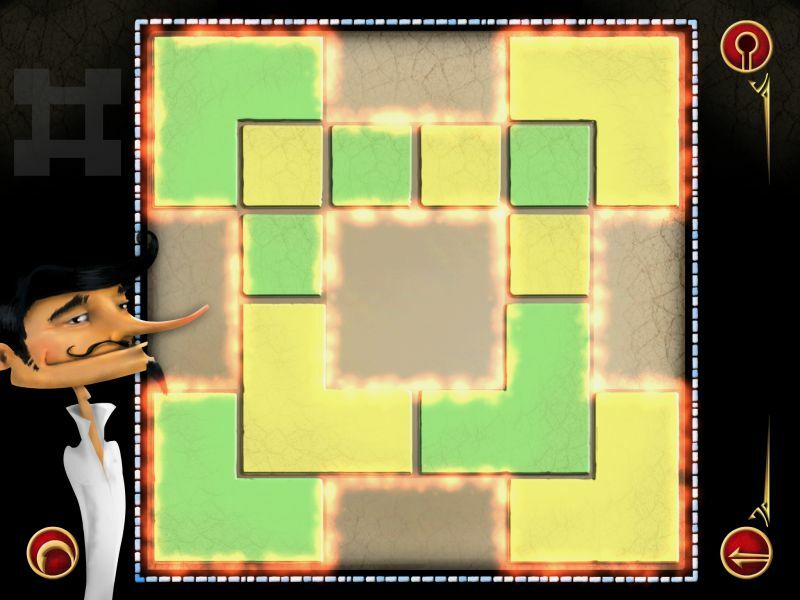 The Expert on Lizard Matters: Collect all the lizards hidden under the mosaics in Barcelona. 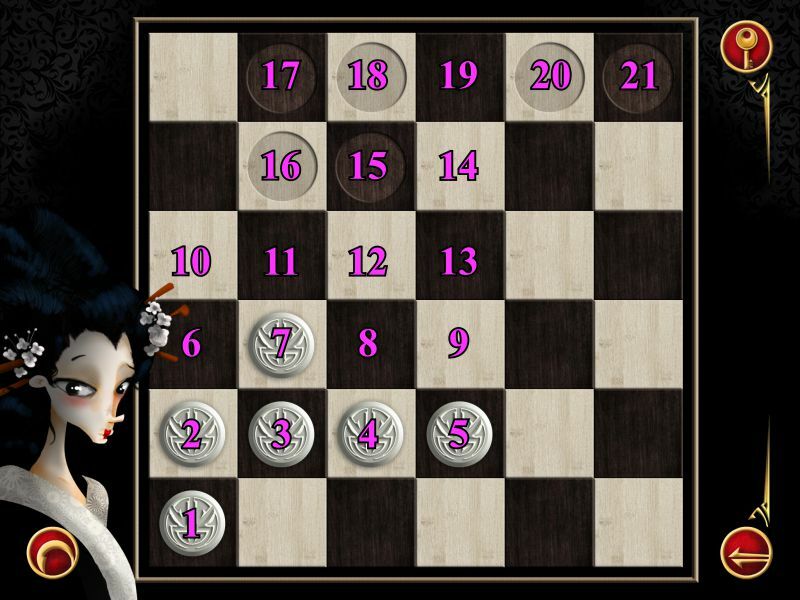 The Art of Doubleness: Arrange one board in two different ways. 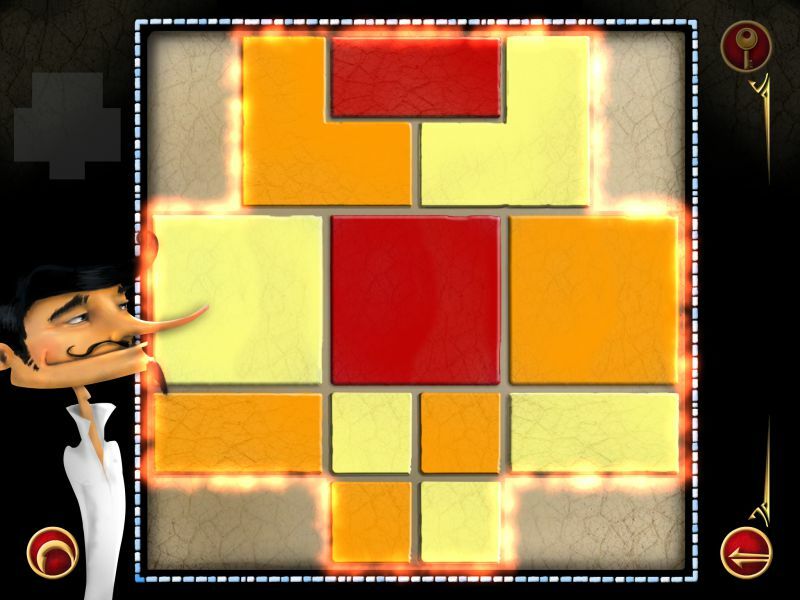 Your goal for this city is to arrange the mosaic pieces within the shaded area so that the sides do not touch another piece of the same color. 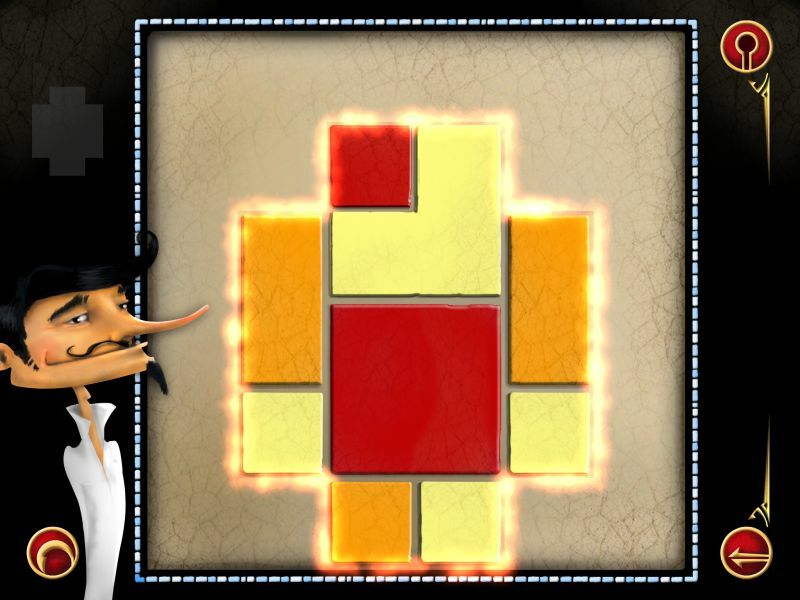 The mosaic pieces can be moved around either horizontally or vertically. 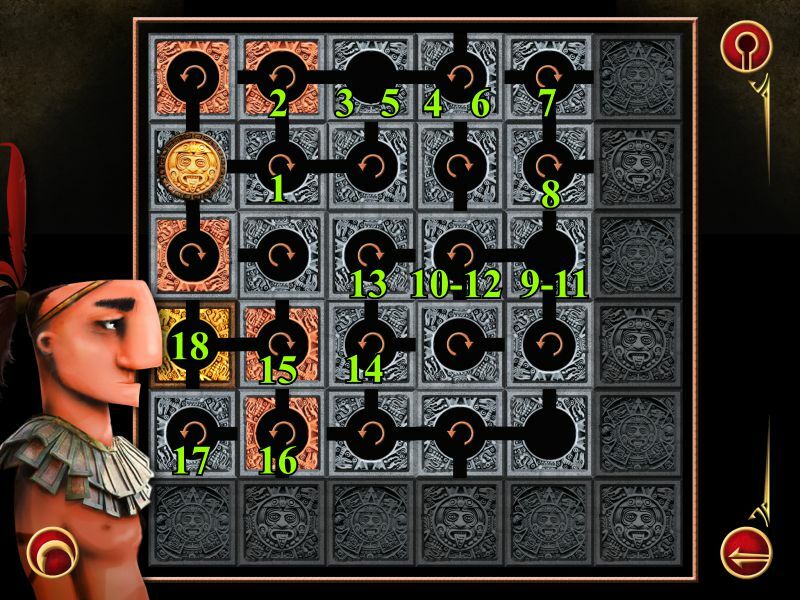 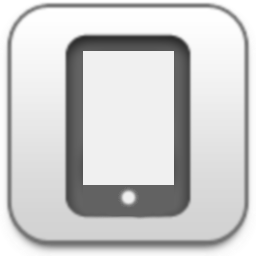 The screenshots will show a solution that works, but other solutions are also possible. 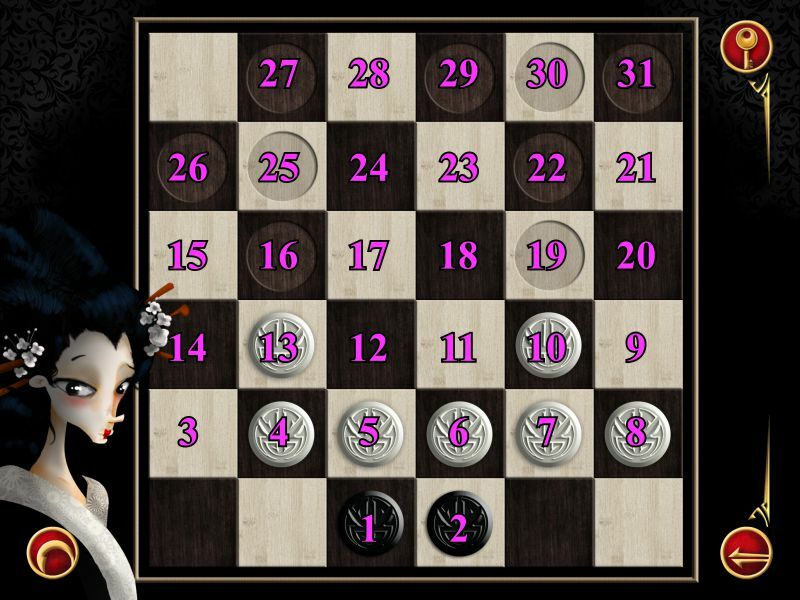 If you aren't sure about the shape you are trying to fill because of all the pieces, look closely in the upper left corner of the screen for a gray shape. 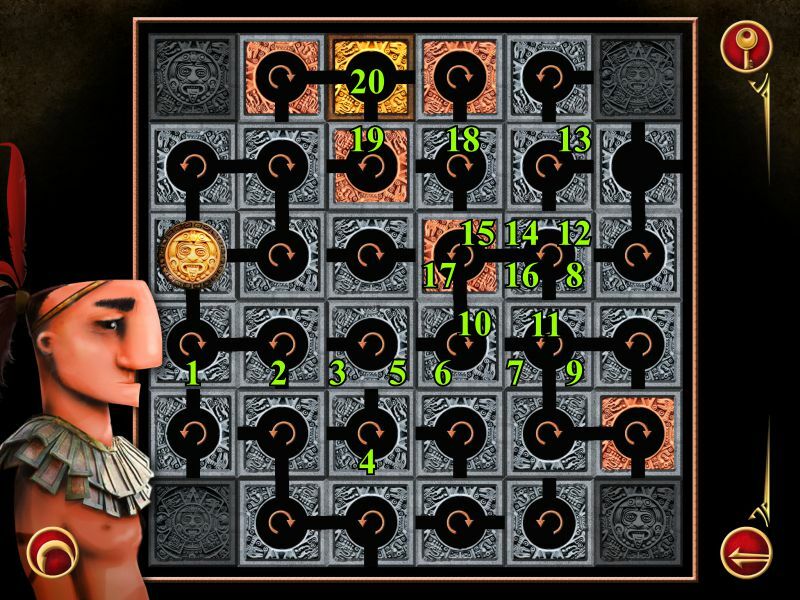 Note on this first level that they give you a solution in the upper left corner. 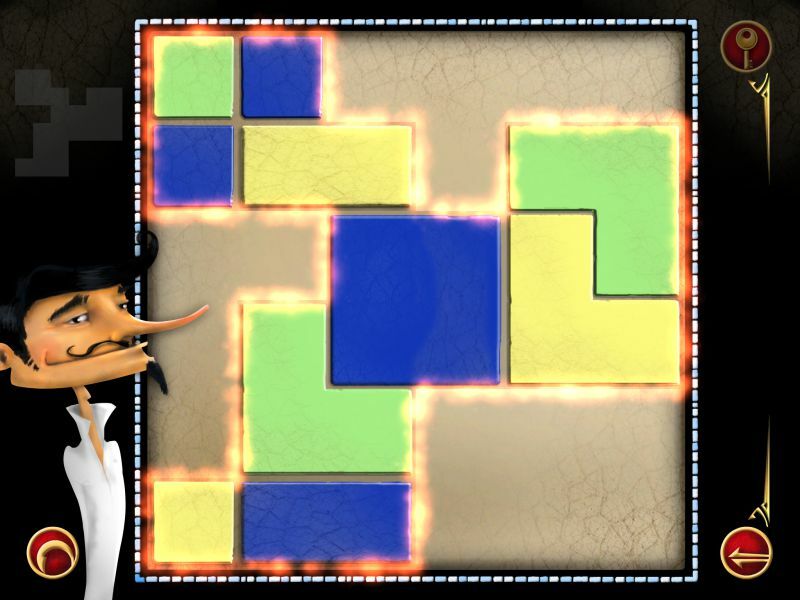 This level has a hidden lizard. 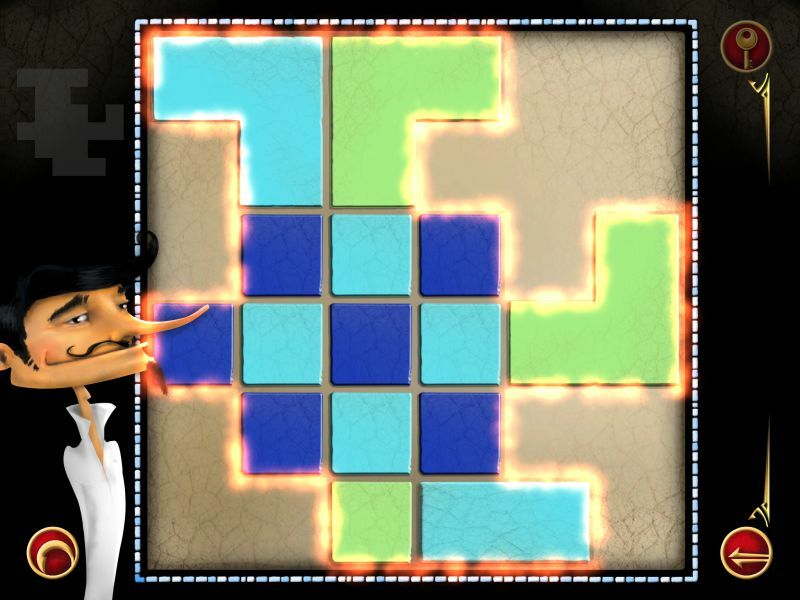 This is a perfect level to get your the Art of Doubleness Achievement because all you need to do is play it twice and switch the orange and yellow pieces at the bottom of the puzzle. 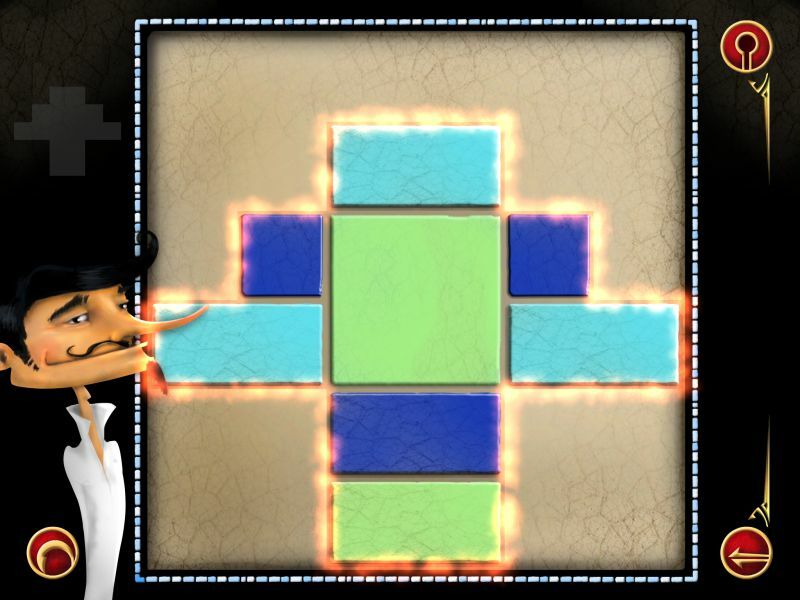 There is a lizard in this level. 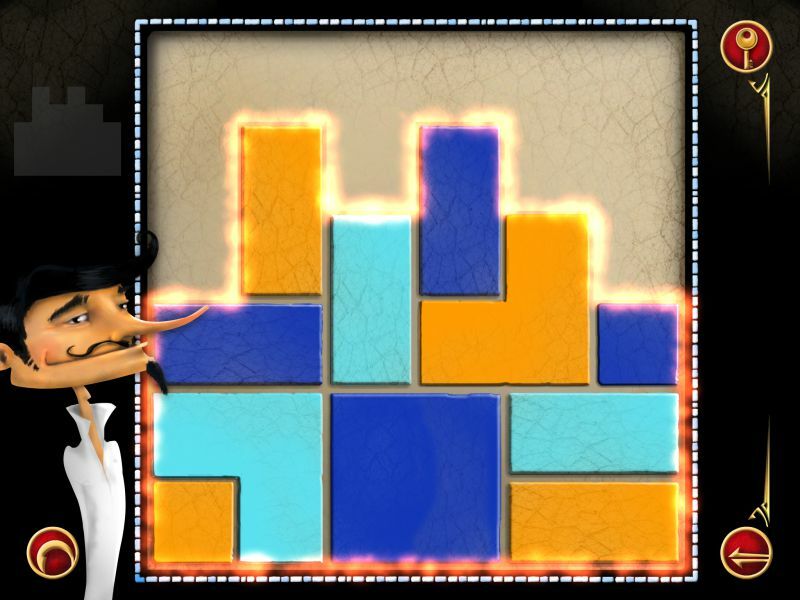 Look for a lizard in this level. 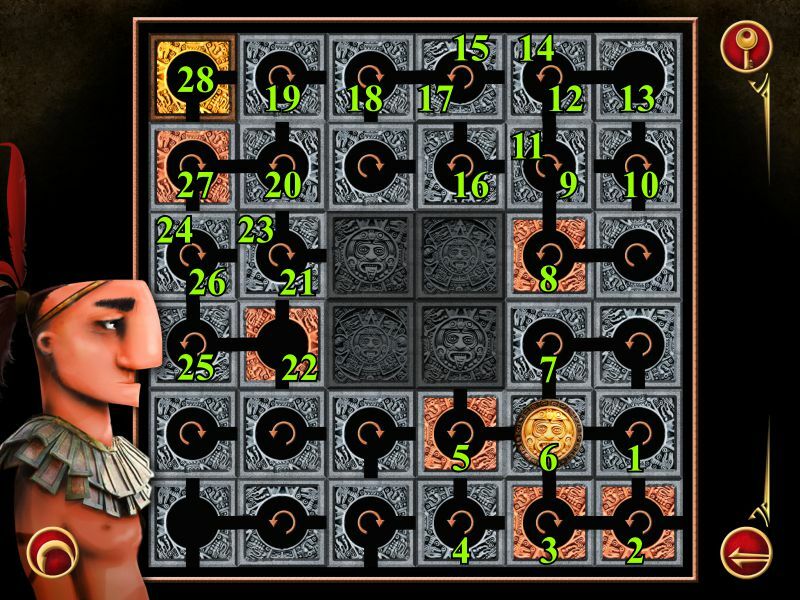 Your goal for this city is to move the coin to the gold square using the available squares as a path. 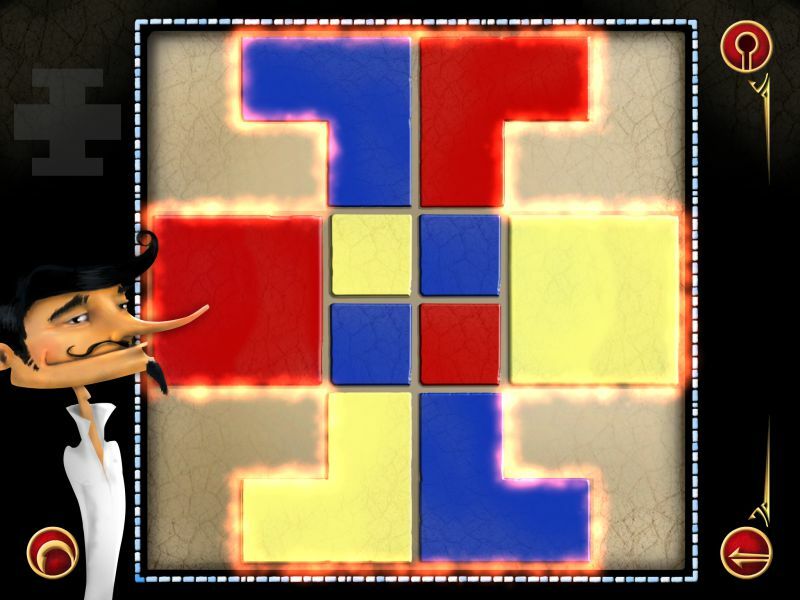 The squares with rotation arrows rotate 90 degrees left or right, and the red squares rotate all at once. 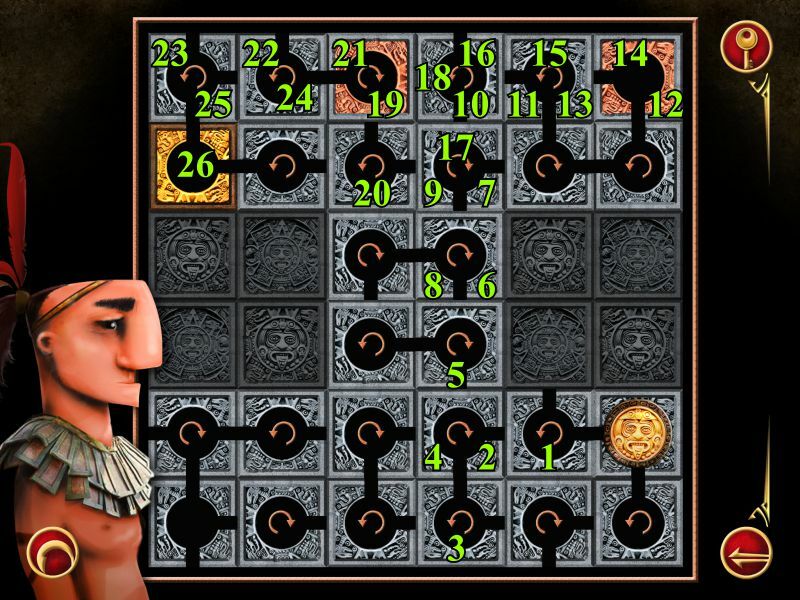 The screenshots are numbered to show you how to navigate the puzzle. 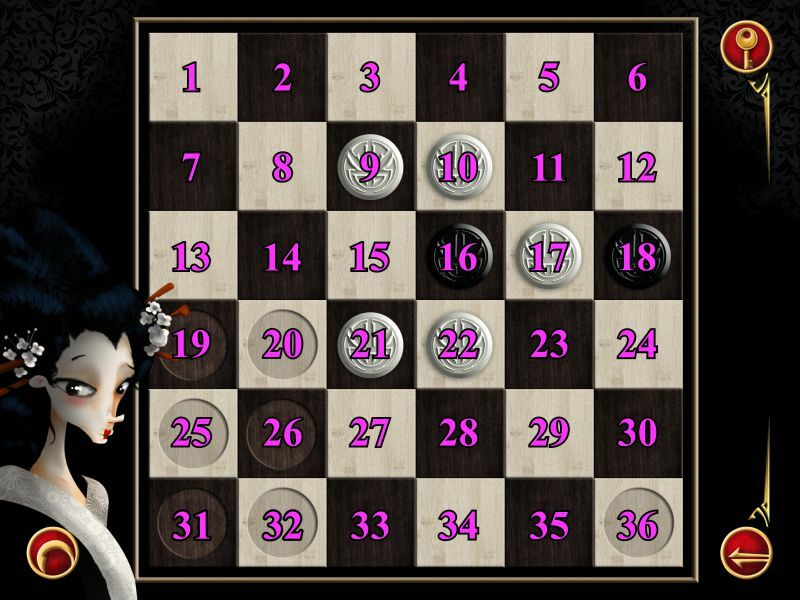 Your goal for this city is to place all the pieces in the indented circles on the board. 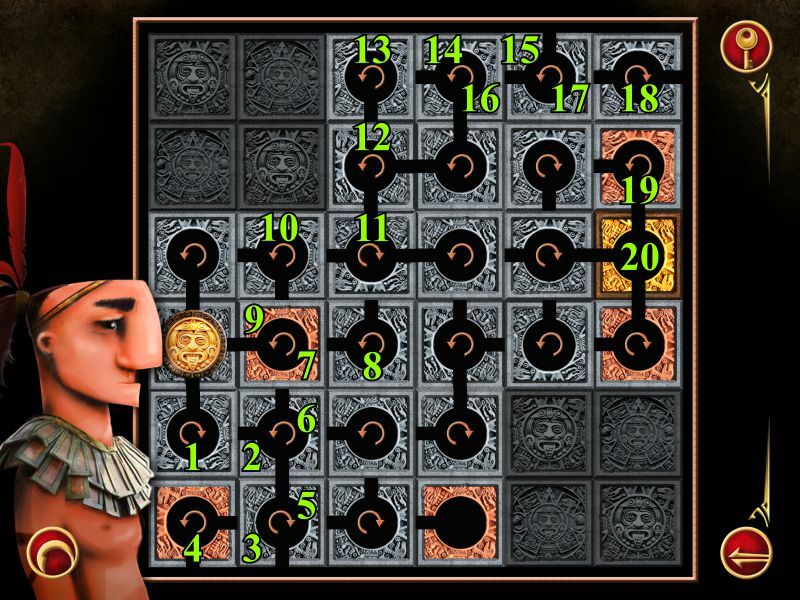 The pieces can only slide up and down or left and right. 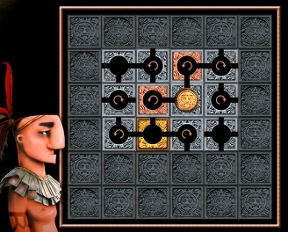 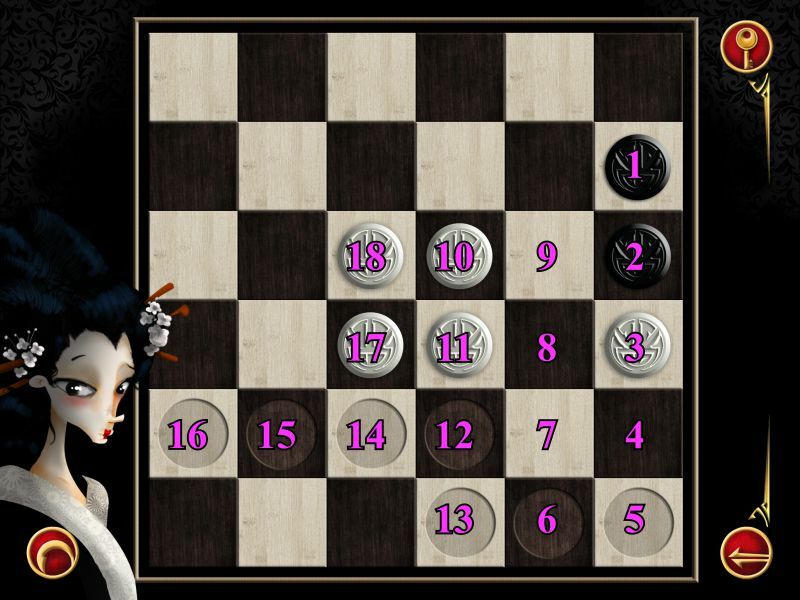 The white pieces can jump over one other piece to an empty space, but the black pieces can jump over more than one piece. 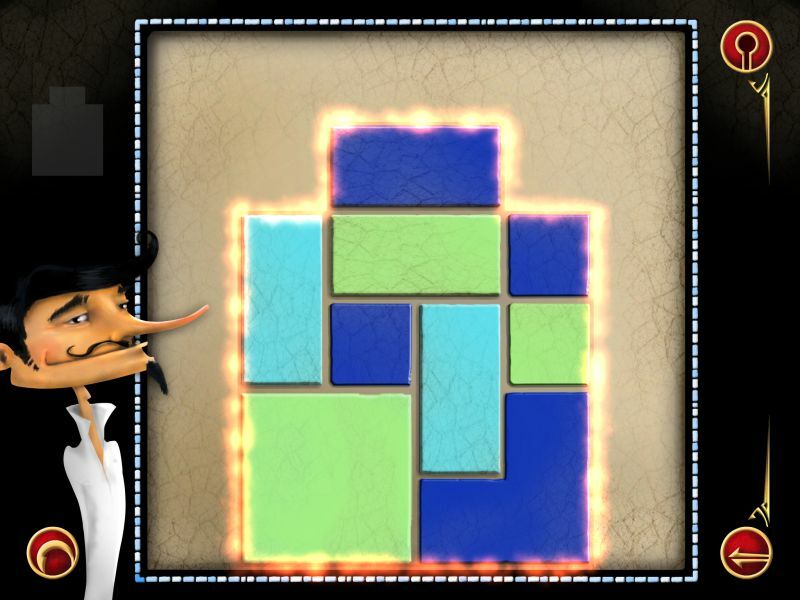 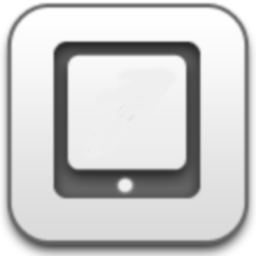 All pieces can jump onto either black or white squares. 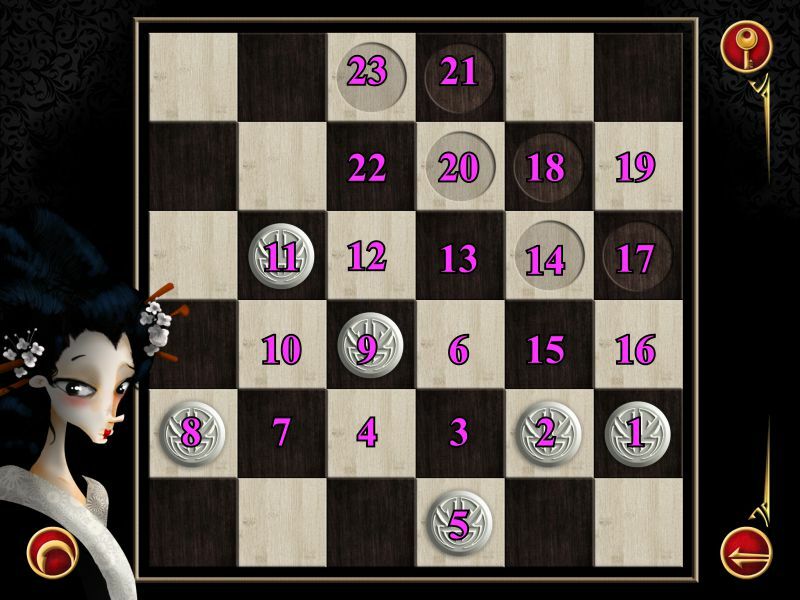 The pieces are numbered in the screenshots with directions as to where to jump them and in what order.